For this installment of Taco Tuesday I sunk my teeth into some amazing puffy tacos. After devouring all that turkey and dressing I needed to cleanse my palate. 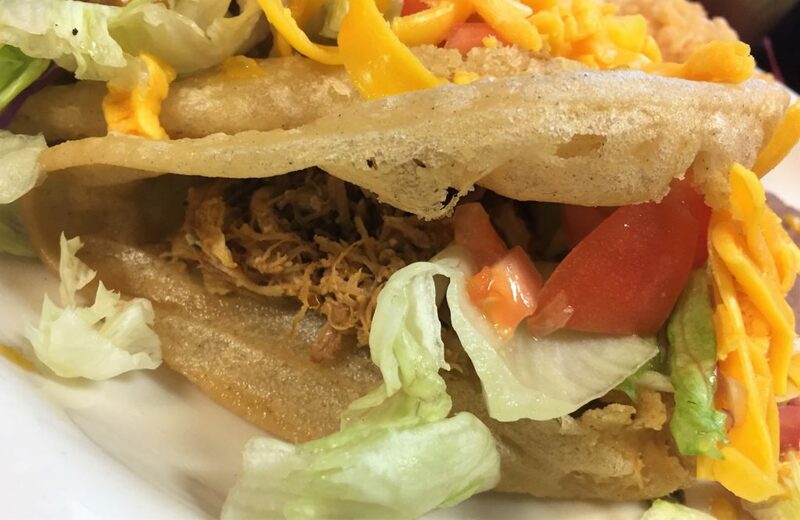 The puffy taco was invented by Henry Lopez. 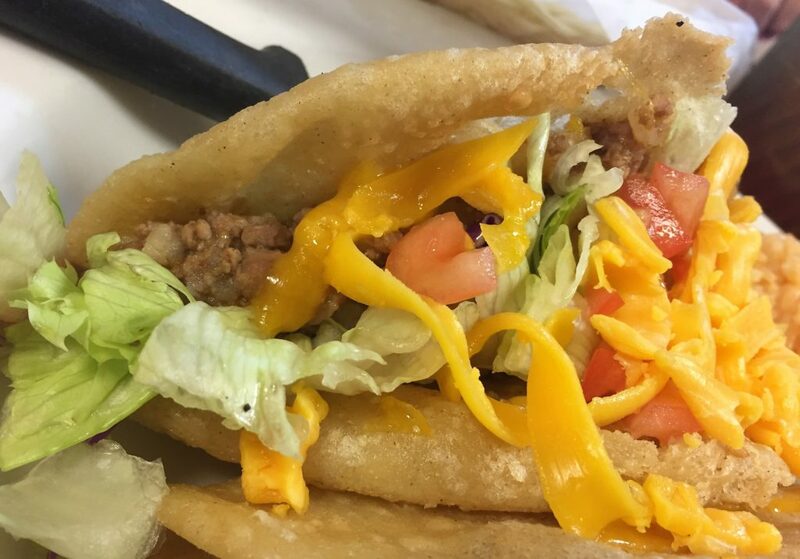 The puffy taco has been a San Antonio staple since then. Puffy tacos are made with a dough called masa. 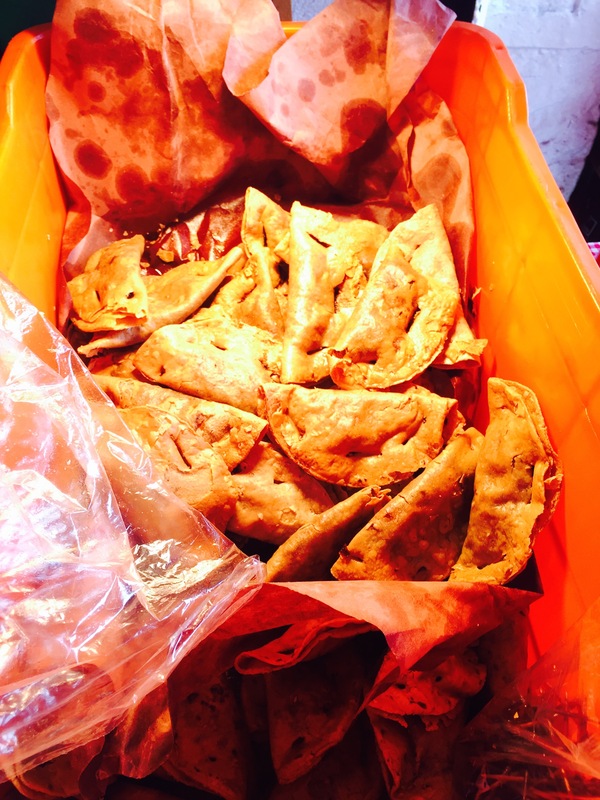 Fresh masa dough is available at most mexican specialty stores. The dough is then pressed into discs and fried in oil. The water in the dough puffs up when fried. The shell the perfect combination of soft and crispy. Picture a little pillow for meat! The great thing about puffy tacos is that they can be filled with anything! 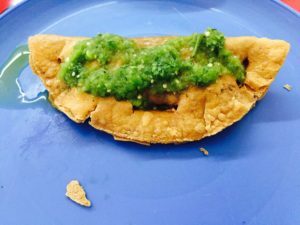 The first taco was filled with amazing and savory picadillo. Picadillo is a savory meat filling including beef, potatoes, bell pepper, onion, garlic and cumin. 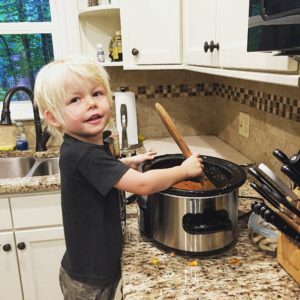 Some recipes for picadillo include raisins. Don’t judge. It is amazing. Second up on the taco train was a chicken puffy taco. 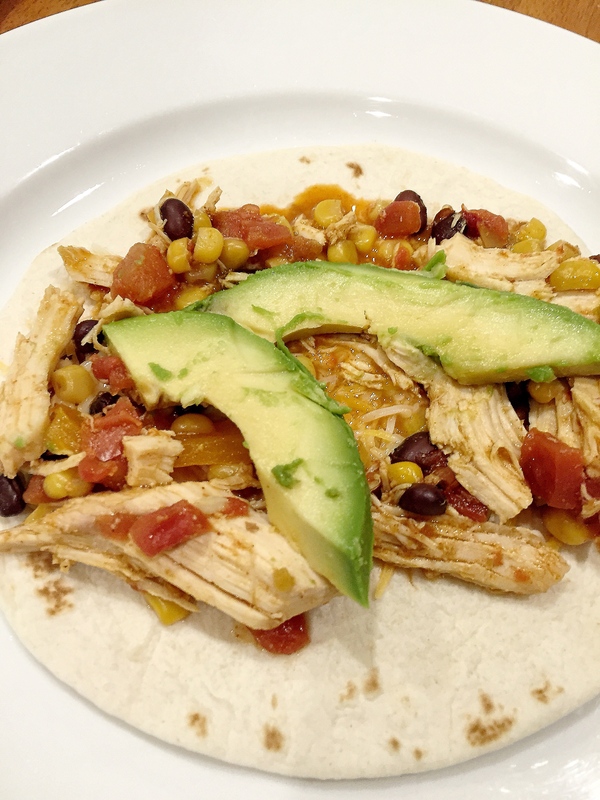 This taco was filled with shredded chicken. The chicken was moist and seasoned with garlic, cumin, tomatoes and peppers. 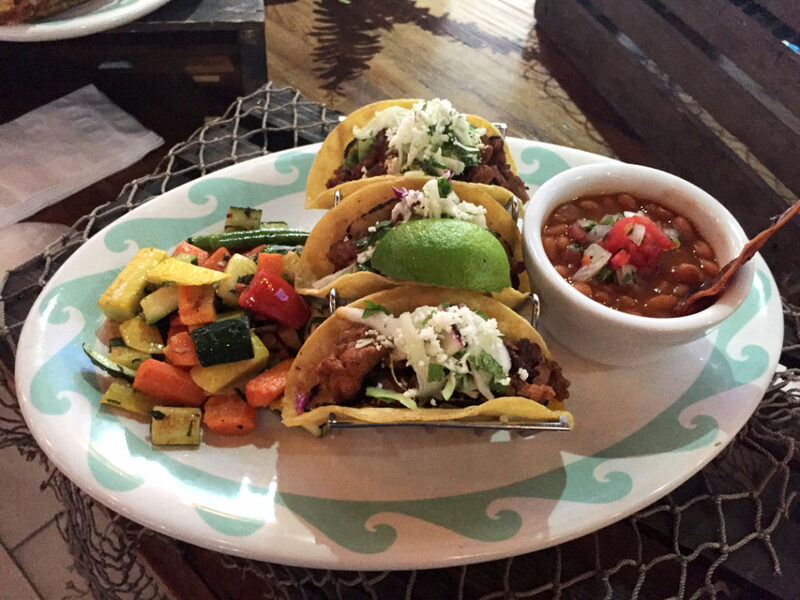 These tacos were just what the doctor ordered…my turkey coma is cured. 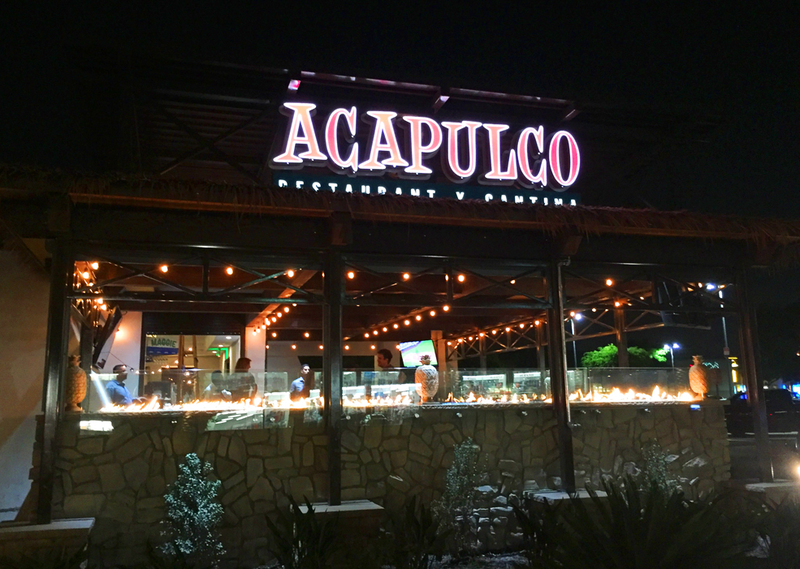 When I had the opportunity to head down to Downey to check out Acapulco Restaurant’s new and improved menu, I jumped at the chance—and not just because they’re located across the street from my beloved Dunkin’ Donuts! 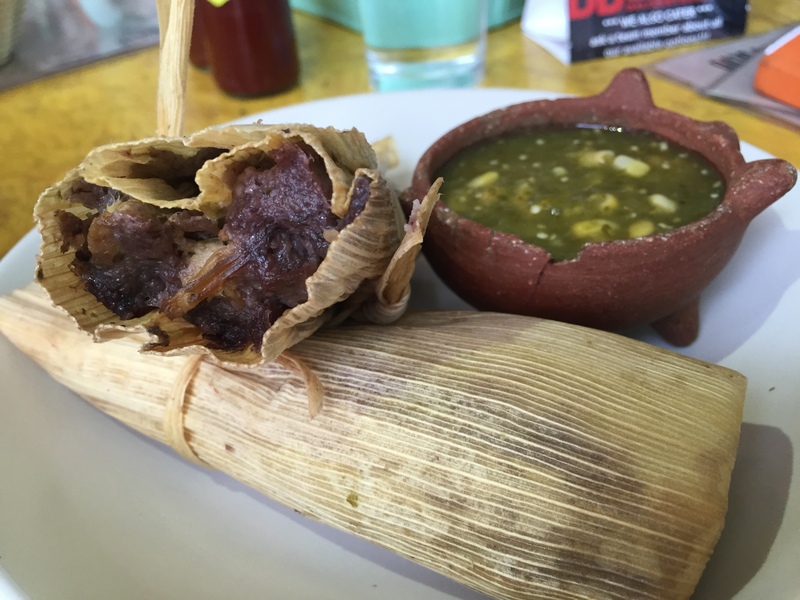 I grew up eating authentic Mexican food cooked by my mom, and as a result, I’m a little spoiled when it comes to South-of-the-Border cuisine. 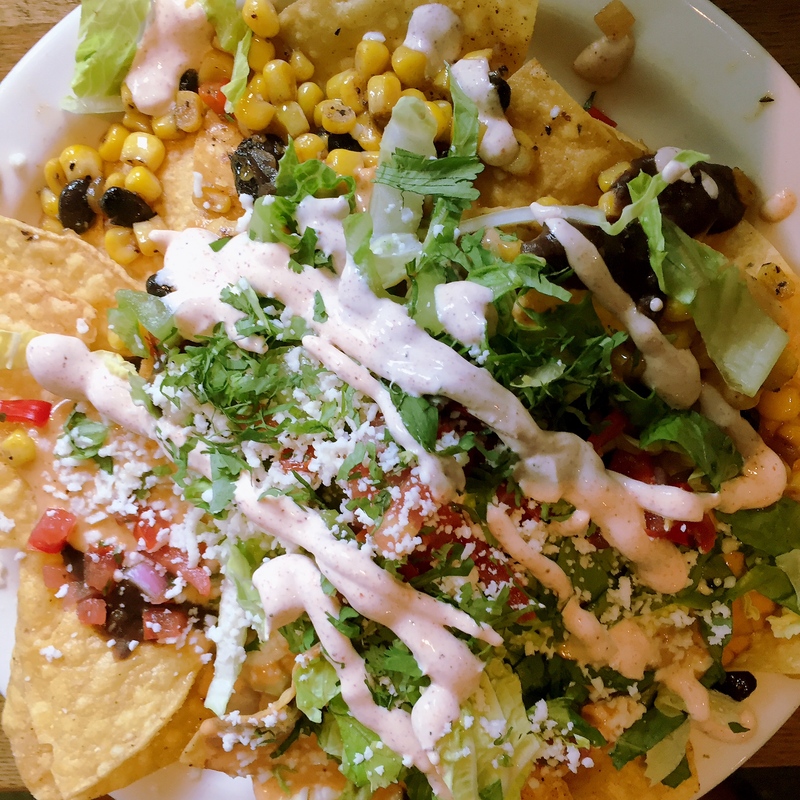 I’m generally not a fan of Americanized or Tex-Mex style platters which are usually lacking in flavor and spice and overflowing with filler (mushy beans, rice, and iceberg lettuce—UGH!). I honestly wasn’t sure what to expect at Acapulco. At the very least, I was hoping for a good margarita. Well, not only did I get one of the tastiest margaritas I’ve had in a long time, but I was simply blown away by their new menu. So much so, that I wish I lived closer to Downey so I could eat there more often. Right now, the new menu is only available at the Downey location, but I’m hoping that it will eventually be added to the other locations as well. 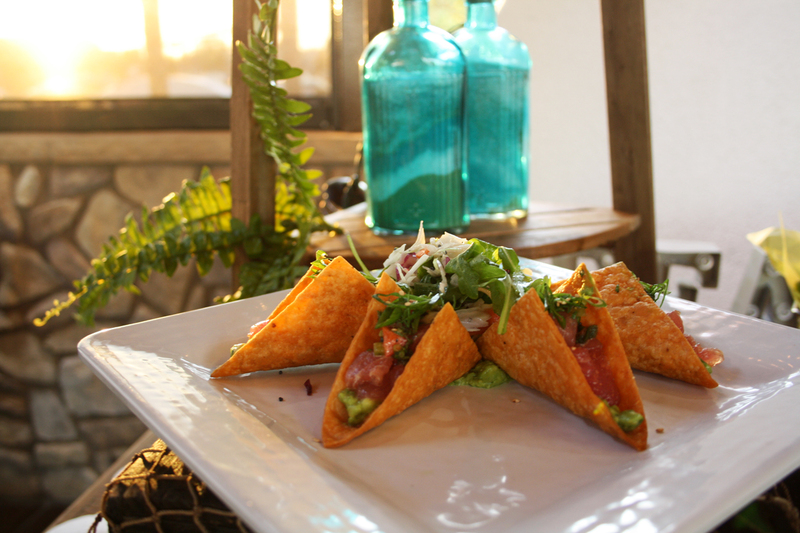 Walking in, I knew I was in for a treat when I saw their display of their new Poke Tacos, with fresh cubes of raw ahi tuna nestled in crunchy chipotle flour shells, and drizzled with wasabi-guacamole, topped with arugula and cheese. Yum! 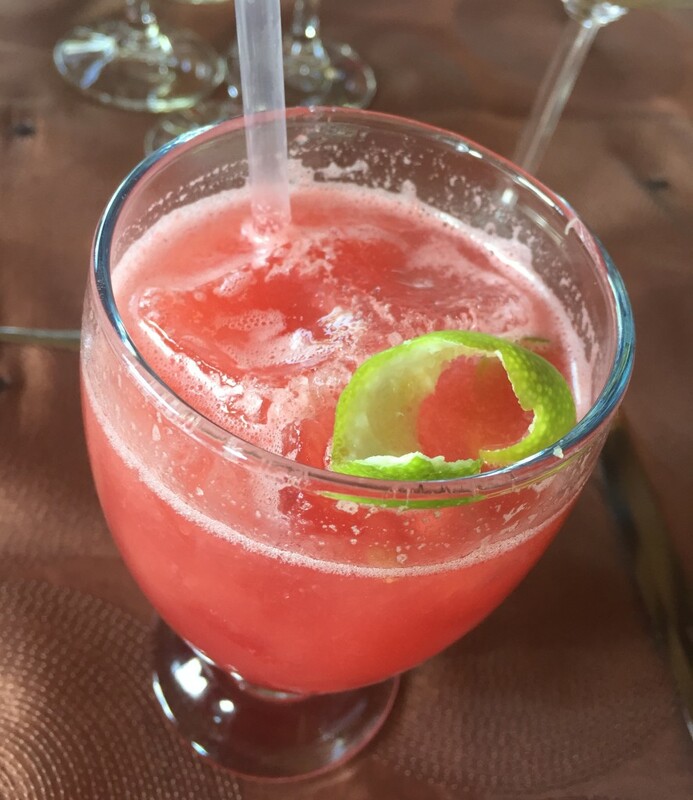 The next thing I knew, I had a drink in my hand—the Acapulco Sunset. This is my dream drink. It’s fruity, it’s spicy, and for me, it’s so nostalgic. 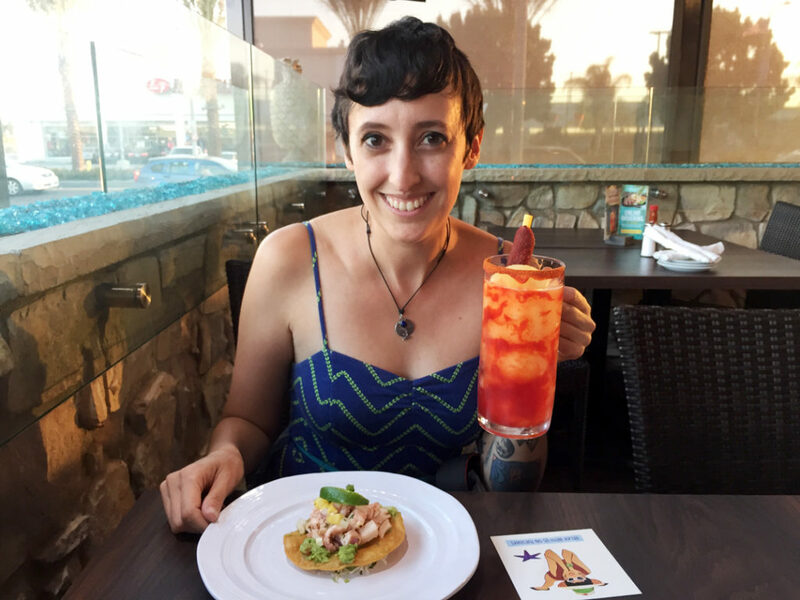 It’s their version of the Mangonada or Chamango, which is a classic Mexican fruit drink made from mangos, lime, and chamoy (a chili-spiced condiment made from pickled fruit) often sold out of carts or fruit stands in Mexico. 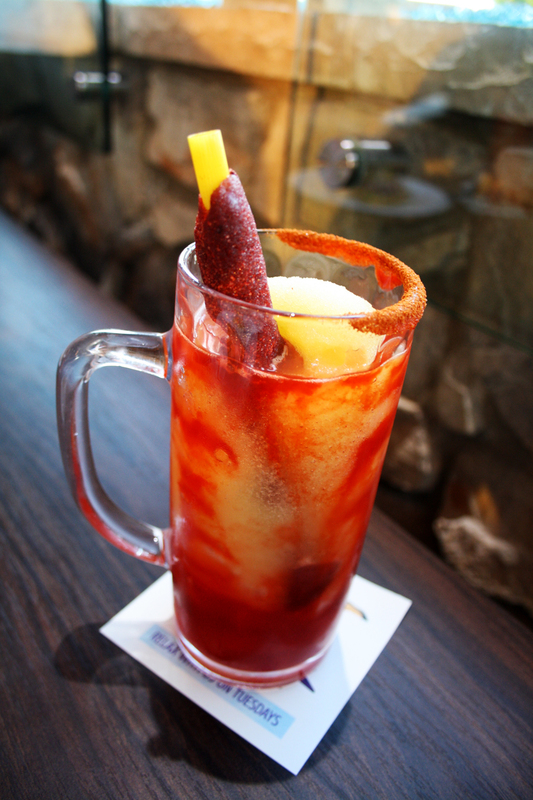 The Acapulco Sunset is even garnished with a traditional tamarind candy straw and this adult version kicks it up a notch with the addition of Cuervo Silver tequila and triple-sec. 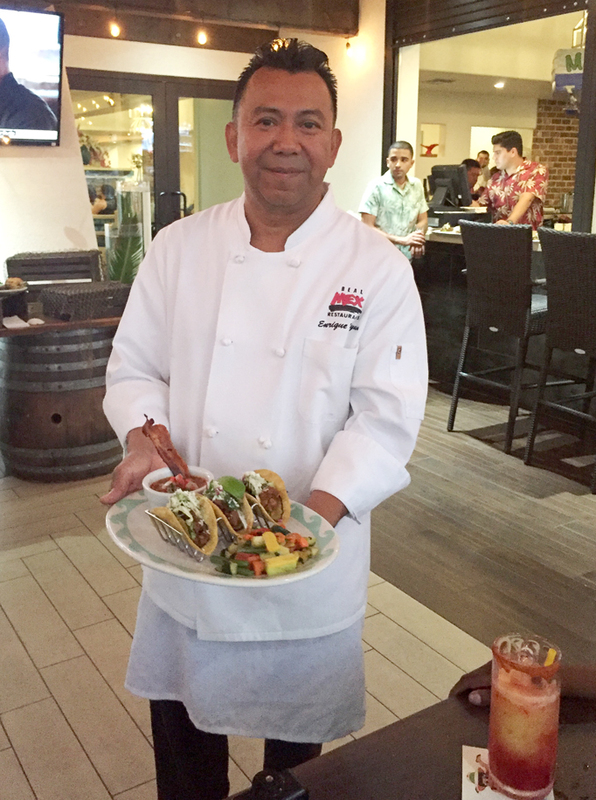 Next up was a sample of the Ceviche Rojo, which was tasty mix of mahi mahi and shrimp, mixed with chunks of pineapple, guacamole tartar sauce, and a zesty mango relish. The shrimp was so meaty, for a second I thought it was lobster. Three bites in and I was already fantasizing about digging into a massive bowl of this with a bag of chips on the side. 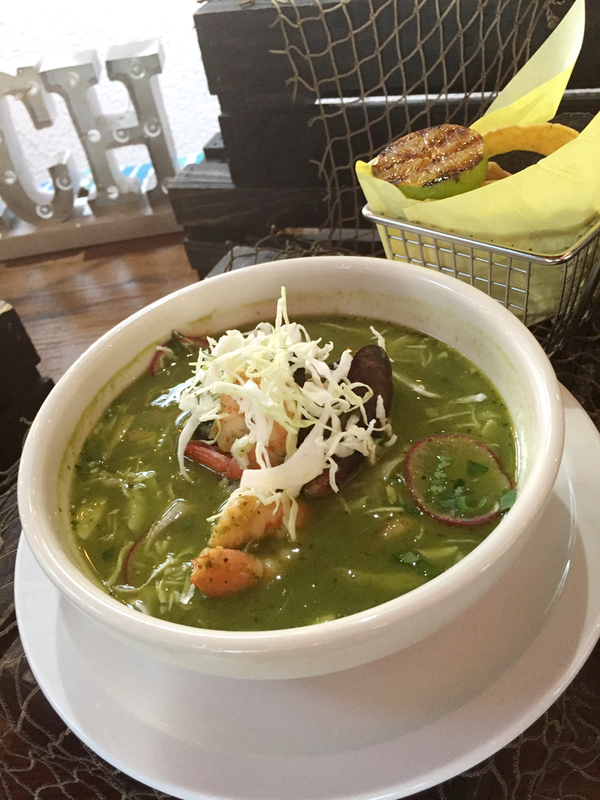 My daydreams were interrupted as the next dish arrived- a wonderful seafood pozole. 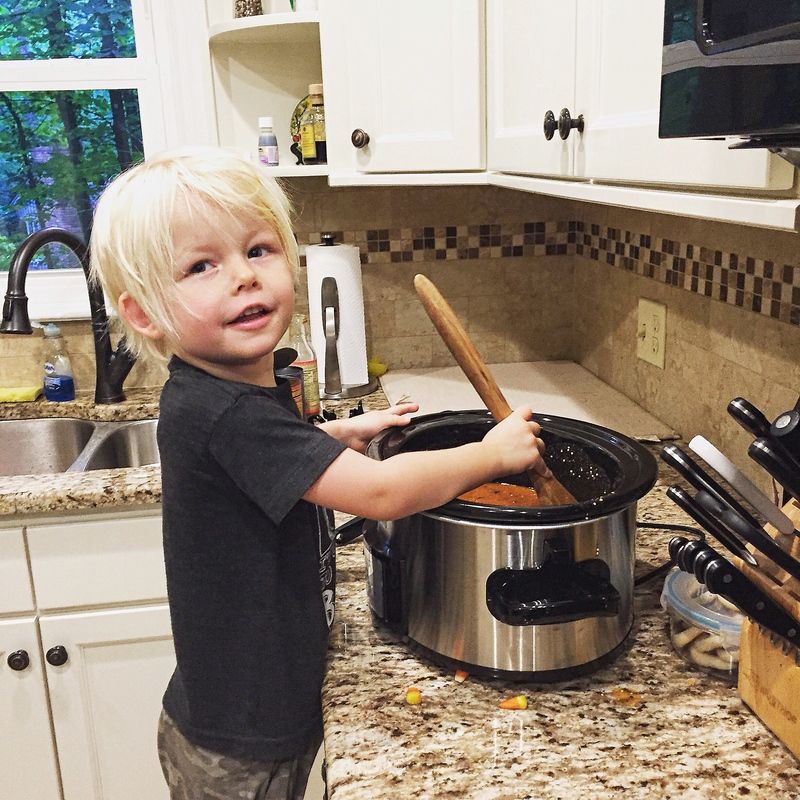 Comfort food at its finest, and perfect for autumn! It was brimming with seafood: mussels, clams, calamari, shrimp, and mahi mahi, all mingling with crunchy cabbage and radishes in a creamy, limey broth that packed a nice amount of heat. Next up was the seriously awesome carne asada. 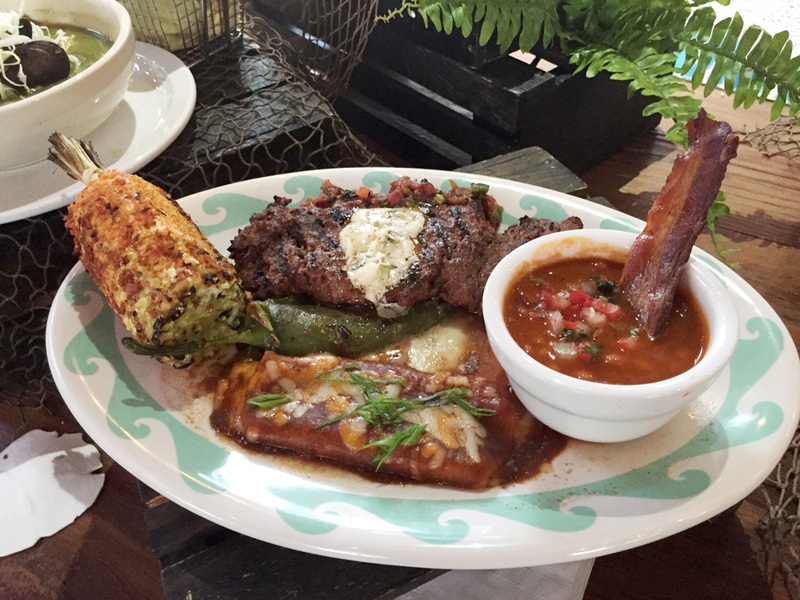 The platter is nothing short of a feast with an 8oz grilled skirt steak, cheese enchilada, a cheese-stuffed chile, Yucatan-style charro beans (with a stick of bacon! 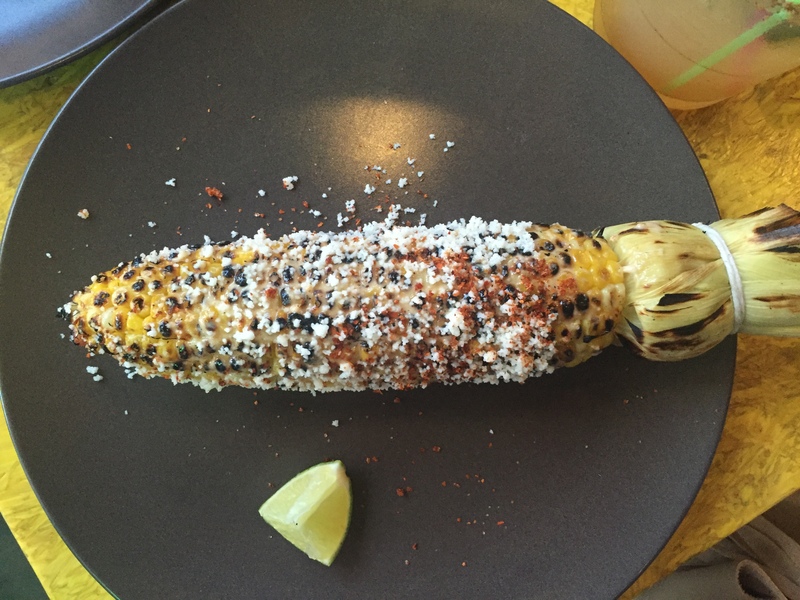 ), and corn on the cob. 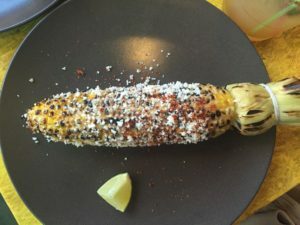 This was no average corn on the cob—it was Mexican-style elote slathered in smoky, peppery goodness with a tantalizing mix of Peruvian chiles, black pepper, lime, mayonnaise, and chili piquin, topped off with crumbled bacon bits. Sooo good! The steak was also fantastic. Very tender and juicy and seasoned nicely with garlic, Anaheim chiles, and salsa de molcajete. 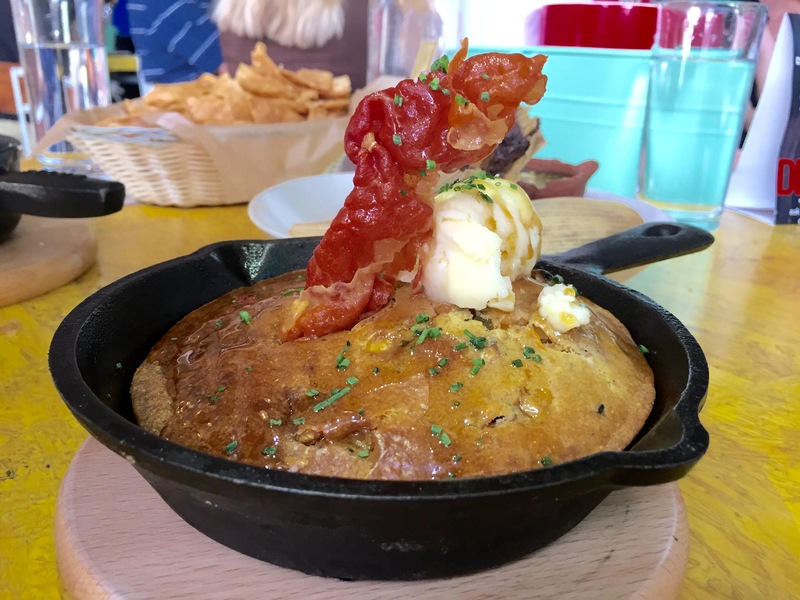 I’d definitely return just for this dish alone. 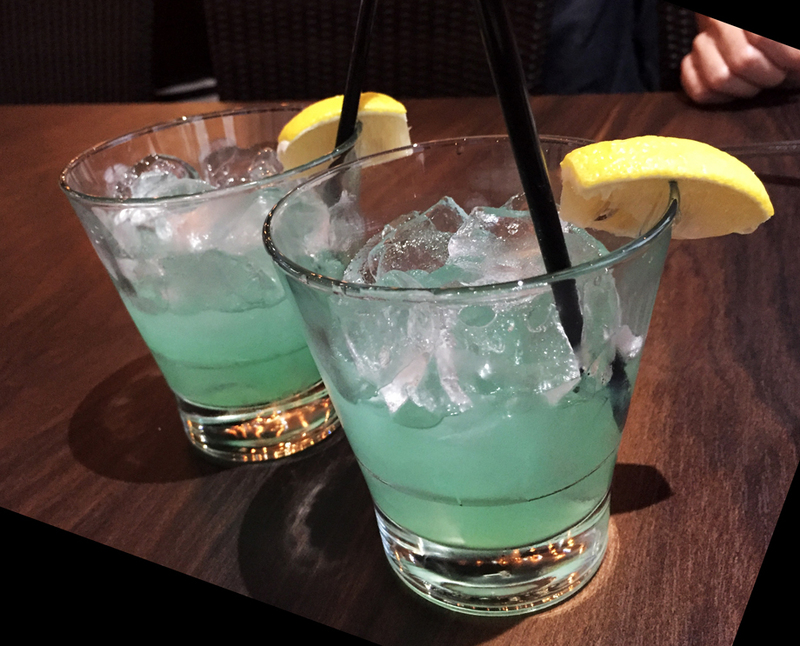 The good times kept on rolling with a new drink to try: the Moonlight Melt, so named because the mix is added to a generous puff of blue cotton candy which instantly melts into a sweet and colorful concoction made with Cazadores Blanco and orange juice. 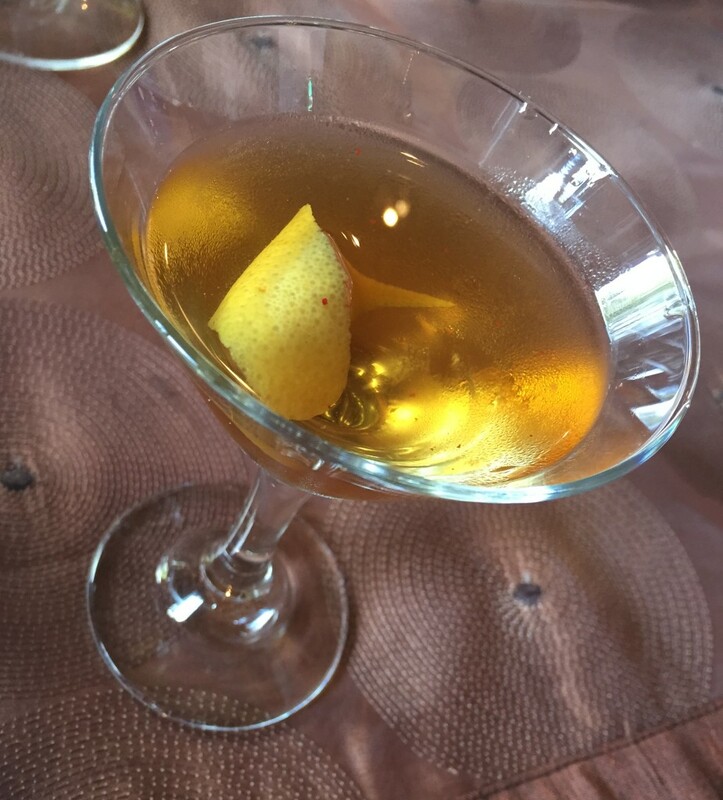 If you’re like me and enjoy sugary drinks with the flair of tableside preparation, this one is for you! 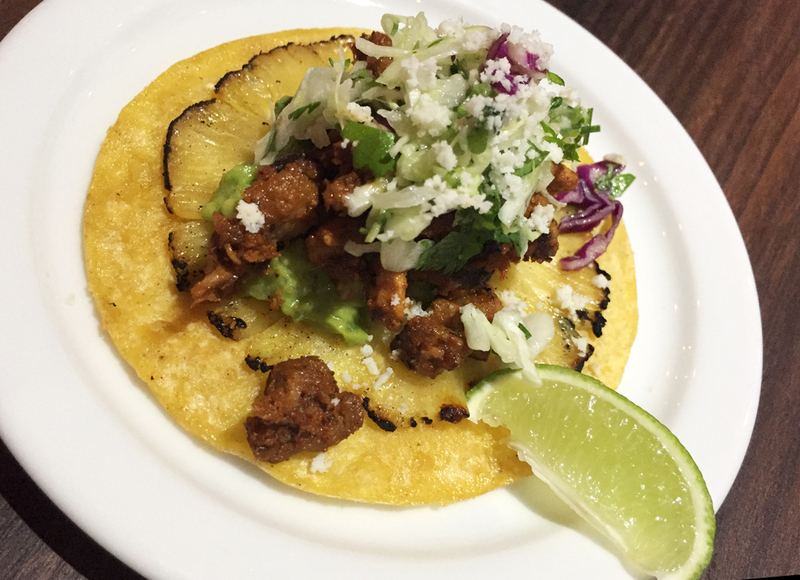 The next dish was another winner: Tropical Tacos al Pastor. Like the other dishes before it, this was the vision of executive chef Enrique Tayun and a real delight to eat. 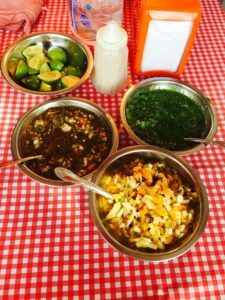 The carnitas are made from juicy pork that has been marinated for 24 hours in a mixture of chiles, spices, and pineapple juice. 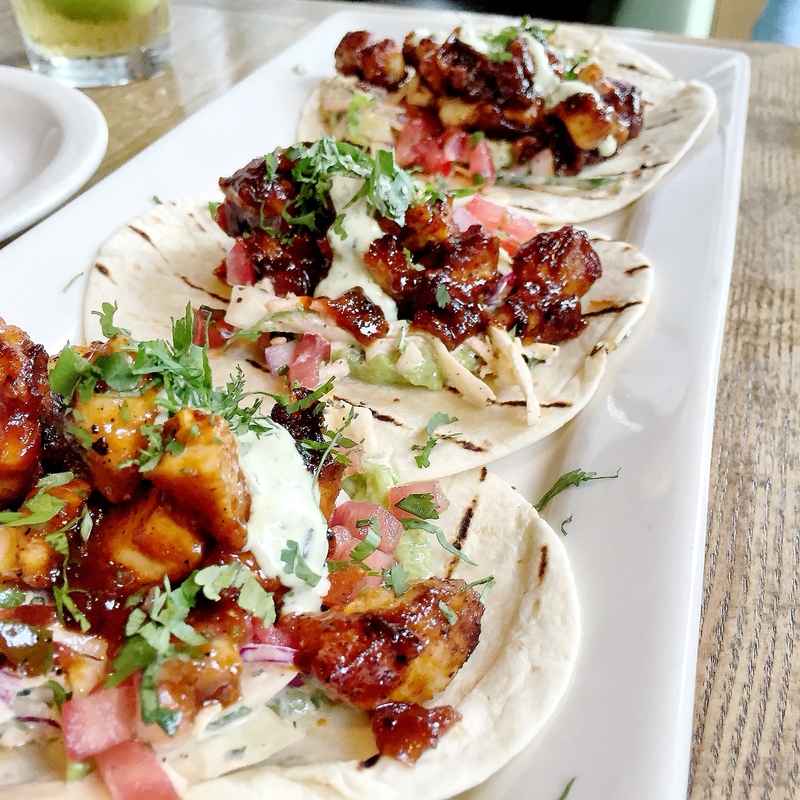 True to its name, the meat was bursting with tropical flavor, and I really enjoyed the small, street-style tacos they were served in. The best part was a very thin slice of grilled pineapple at the base of each tortilla that added even more juicy flavor to the mix. By now the sun was setting and being on the patio afforded the best view. 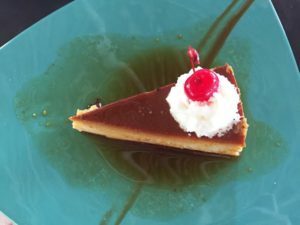 The restaurant has not only revamped its menu but its interior as well, and I really dug the sophisticated island vibe of the place, especially once the fire-wall around the perimeter was lit. Talk about mood lighting! After all this food and drink, I began to feel like I really was on vacation, but it wasn’t over yet! 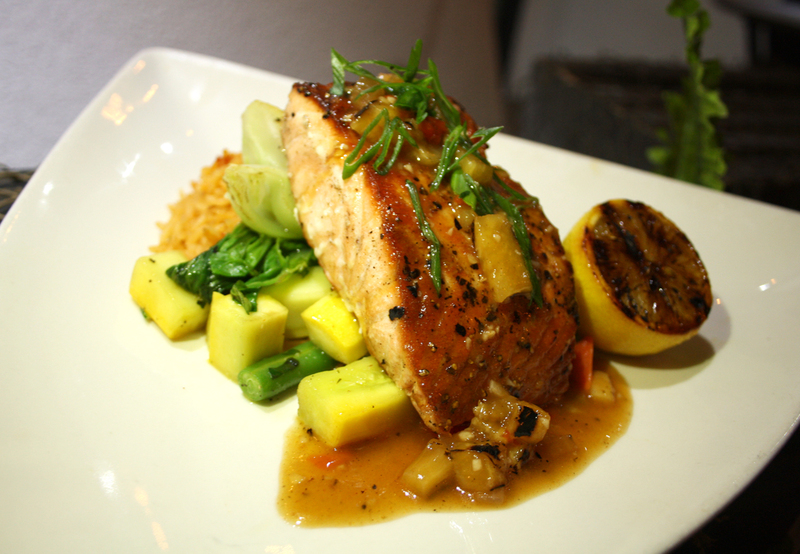 The next dish to be served was a fantastic Tropical Salmon. I have to admit that salmon isn’t my favorite fish in the world, but the way they prepared this dish may have converted me. This had more of a fusion feel as it was served with sautéed bok choy in addition to other veggies. 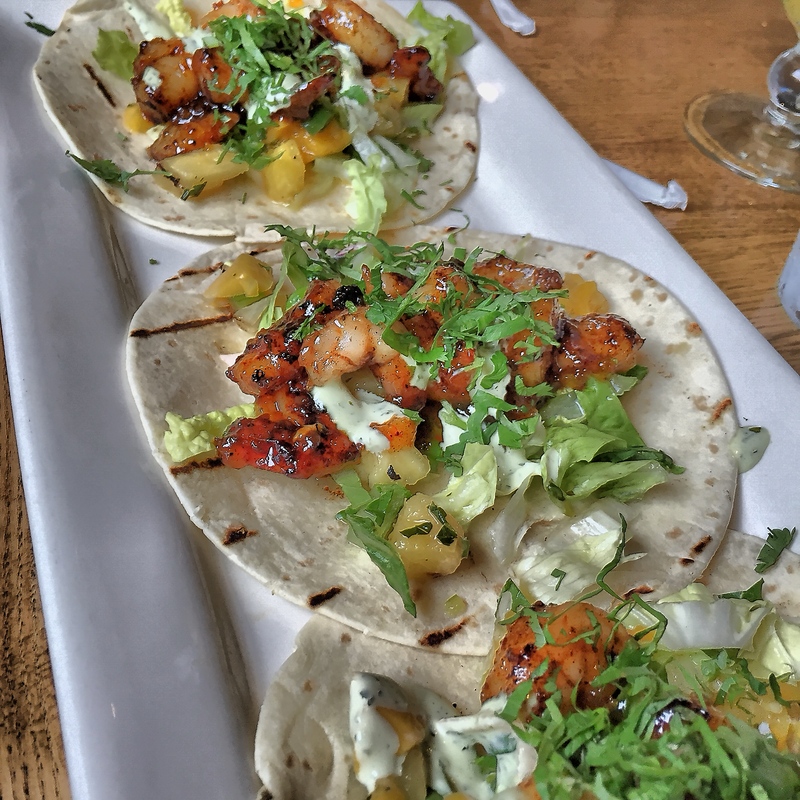 The fish itself was meltingly tender and flaky, seared in a garlic butter sauce and glazed with a sweet roasted pineapple and ginger salsa. The tangy sauce really complimented the rich flavor of the fish well, and I began to rethink my position on salmon altogether. Surprise! It was time for another drink. 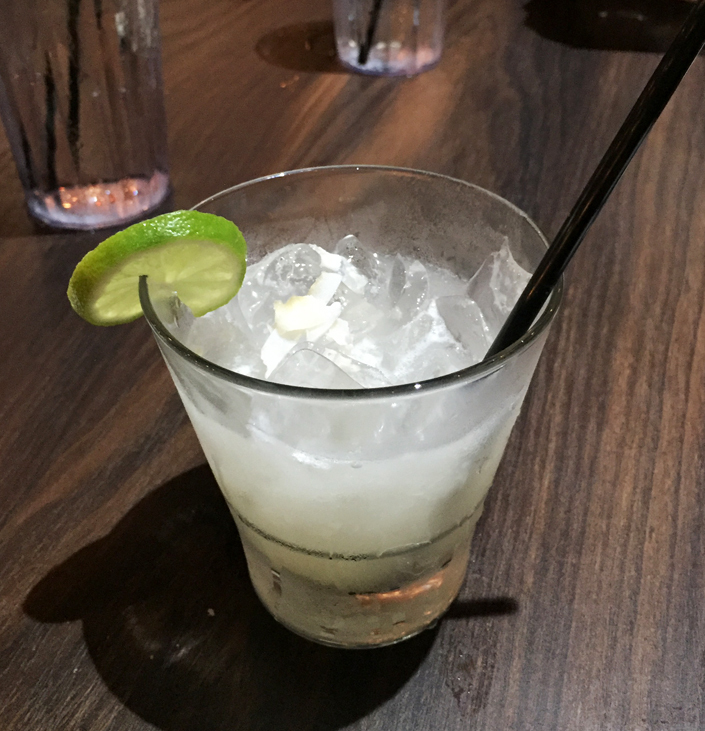 This was the margarita I mentioned earlier—a coconut margarita, to be precise. I’m actually shocked at how much I enjoyed this because coconut, like salmon, just isn’t my thing. But this was clearly a day of challenging my preconceived notions about things I normally don’t like and, holy moly, this drink was so good! Made from Sauza Blue Reposado, Cruzan Coconut Rum, coconut cream, lime juice, and topped with fresh coconut shavings, I felt like I was instantly transported to the beach. It was another sweet drink, and very smooth. This would make a great dessert cocktail. Speaking of dessert, I was pretty full at this point, but I could not resist digging into the final dish: Fruta Bionica. 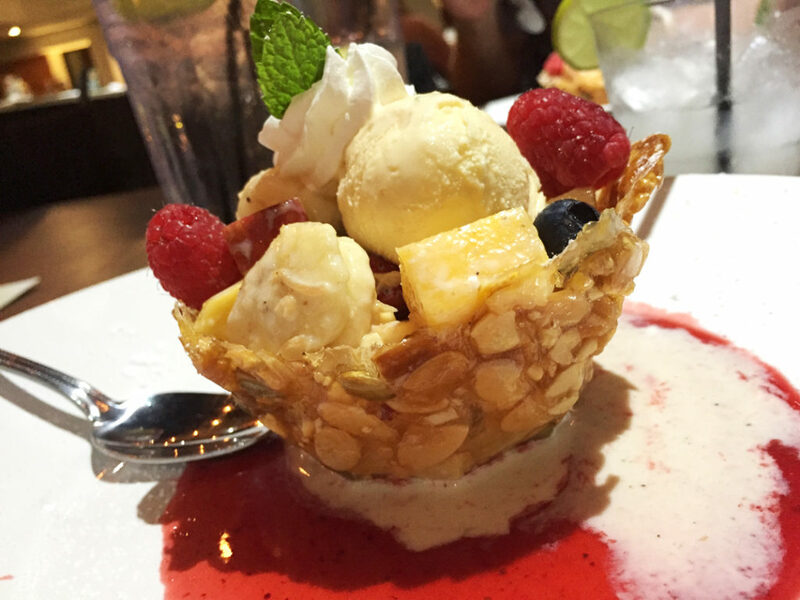 A delicate, honeyed basket made from pumpkin seeds, almonds, peanuts and sesame seeds held a scoop of vanilla ice cream, mangoes, bananas, apples, blueberries, raspberries, and creamy roasted walnuts, sailing on a plate of strawberry drizzle. 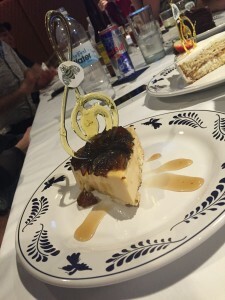 It was just the way I like my desserts to be: fruity, light, and leaving me wanting more. Chef Tayun and his colleagues did an amazing job with this new menu, and I really think they managed to elevate what would be a predictable dish in any other restaurant with unique and surprising flavors all inspired by real Mexican cooking. 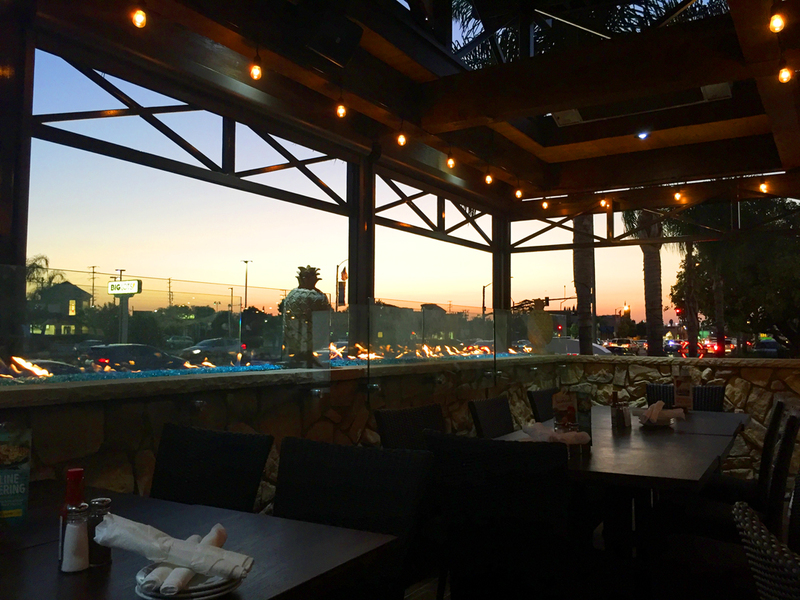 Even if you don’t live near Downey, it’s worth the drive to try some of these new items and share a drink with some friends on the beautiful patio as you watch the sun go down. 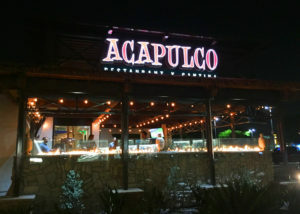 Who would have thought you’d find a real slice of Acapulco in Downey? Next up, the lomo de Puerco. I have eaten at some of the best restaurants in the world and this dish was right up there with some of the courses I have had at Tickets or Next. 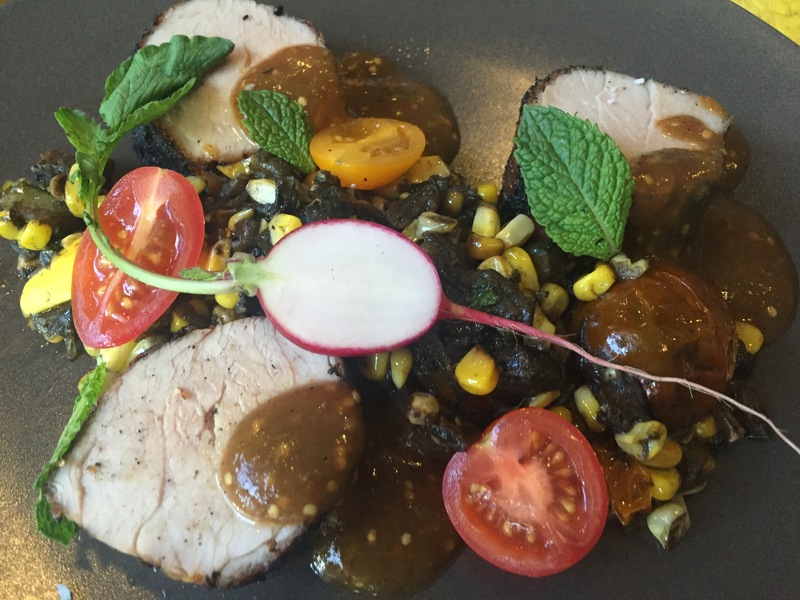 Beautifully placed atop huitlacoche and corn, the pork was covered with braised cherry tomatoes, mint and a smoky tomato salsa. Grabbing a bit of each of these ingredients made for the perfect bite. 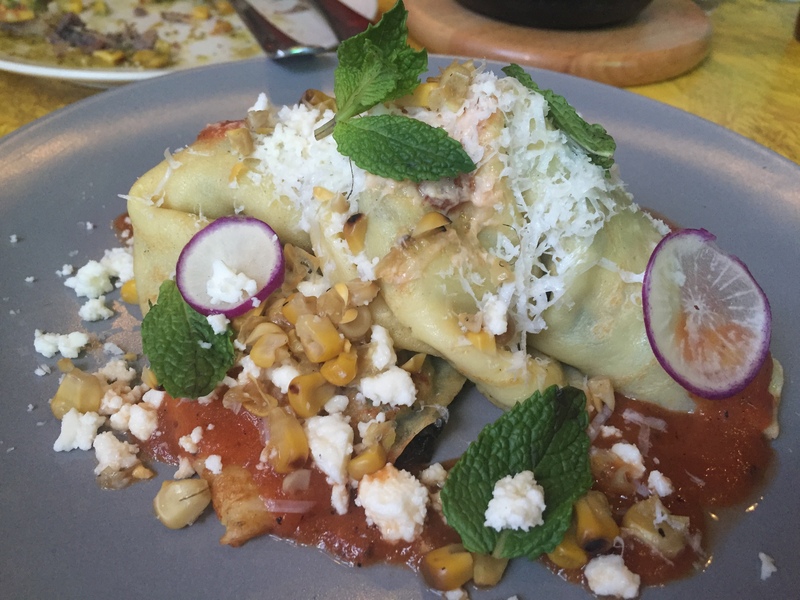 I recently brought you Chamico’s in Tulum, and now I’m going to unleash all my favorite foodie experiences on you! Below are a couple of my top picks for what to snack on when in Tulum and Akumal Bay, Mexico. Lolha is located right on the beach, next to resorts and has chairs you can rent on the sand; I’m sure people assume this is a “tourist trap.” And that’s such an unfair assumption. 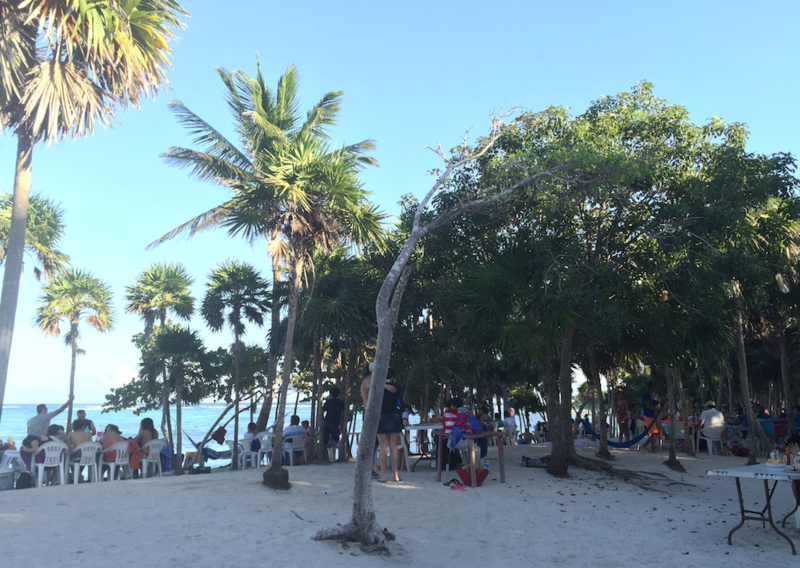 Yes, it’s always packed and has a rushed feel which is tough for people want to relax, but I had great food here. We came here twice, once for lunch and once to rent beach chairs from them and chill. Then, of course, lunch followed the beach lounging. 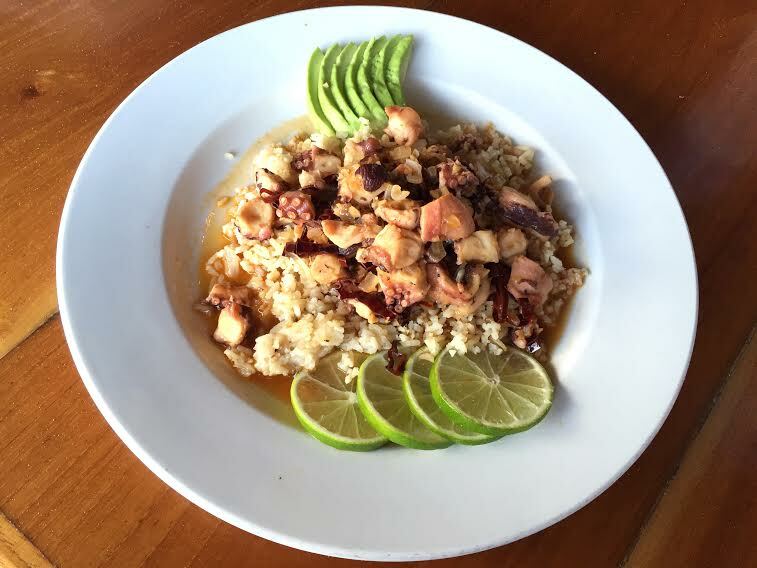 The first dish I had here was the Guajillo Octopus, which was octopus sautéed with guajillo chile and garlic over a bed of rice. Sliced avocado and lime come on the side. The octopus was tender, and the spices with it were perfect. The dish also was a perfect portion and didn’t leave me with any feelings of guilt. 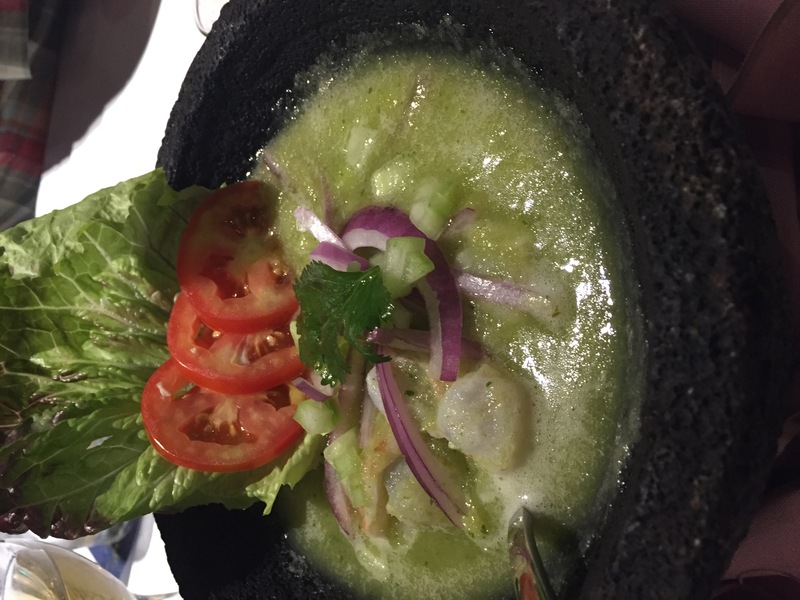 On our next visit, I decided to take a more chill approach to my meal and try the Agua Verde, which is a cold mix of shrimp, cucumbers, red onions and avocado with a cilantro based sauce; it was perfectly refreshing! 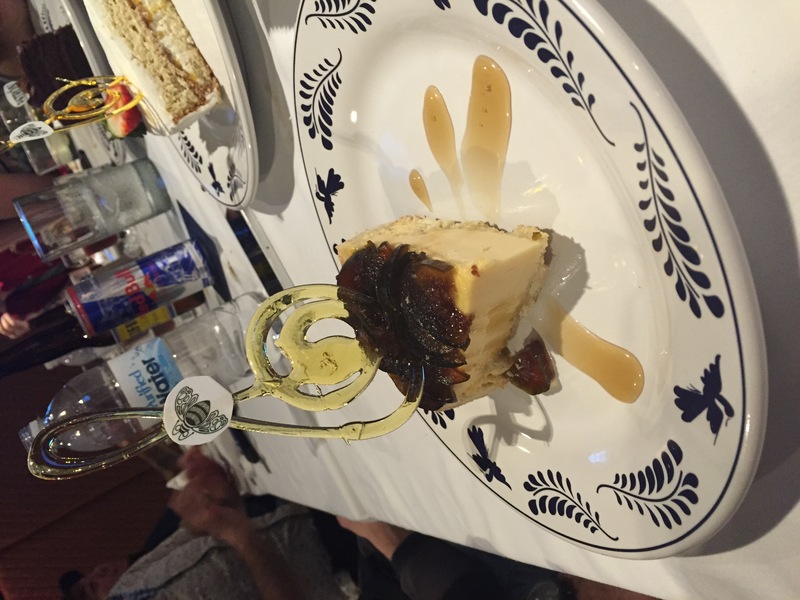 I couldn’t say no to a slice of flan, which was custardy perfection. This is a perfect “no shirt, no shoes, no problem” kind of place. 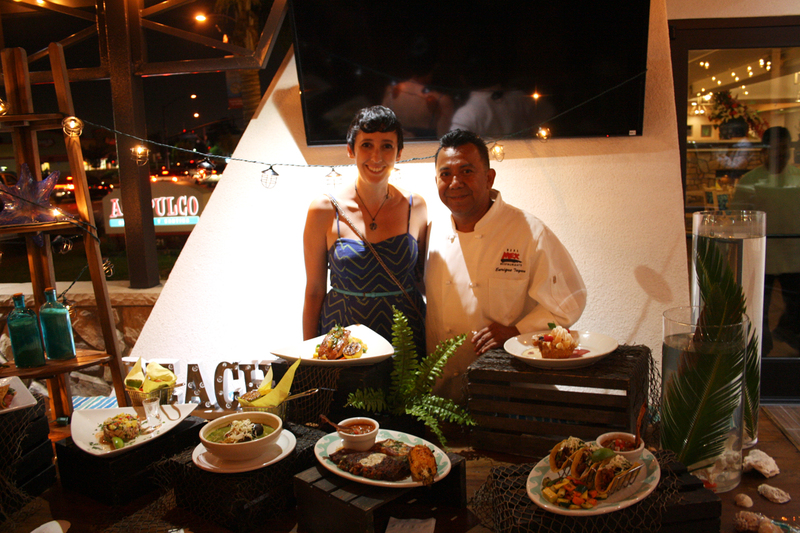 You’re right on the beach with fantastic food. There’s literally zero downsides. 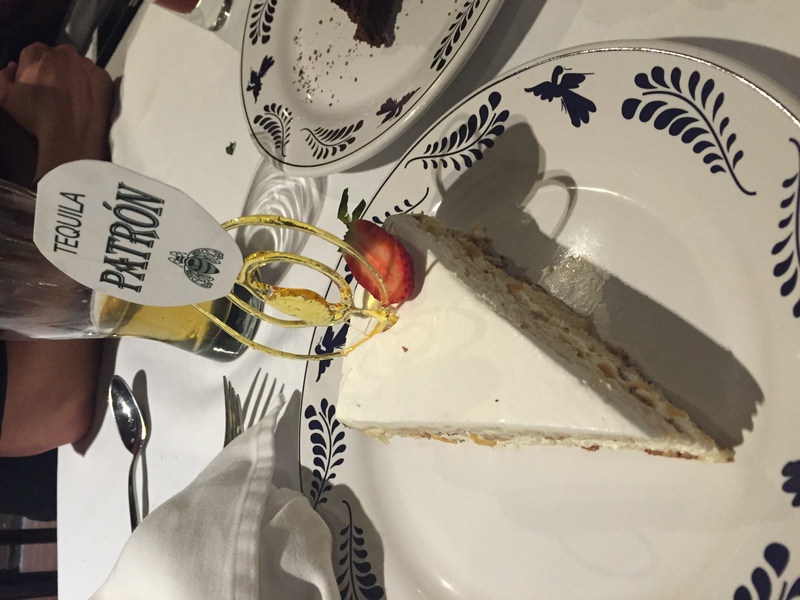 Another highlight for me was having my first legit Tres Leches cake in Mexico. It was a goal of mine to find this amazing cake while I was in town. 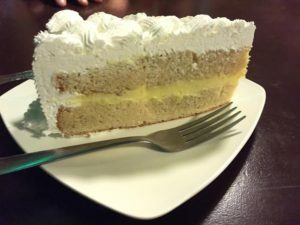 I fell in love with Tres Leches when I was working at a Mexican restaurant in NorCal, but, without disclosing the name of the restaurant, they had it all wrong. Oscar & Lalo’s Tres Leches has the perfect sponginess and isn’t soggy, like what I used to think tasted really good. 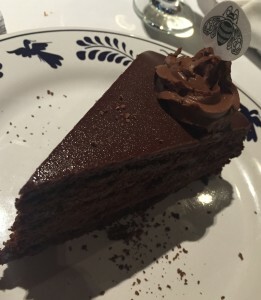 The frosting is also not too sweet; it’s more just buttery. The food and drinks here are amazing but because this changed my perception on what I thought of Tres Leches cake, so it’s a well-deserved a shout-out. More from Akumal Bay and Tulum are coming soon! 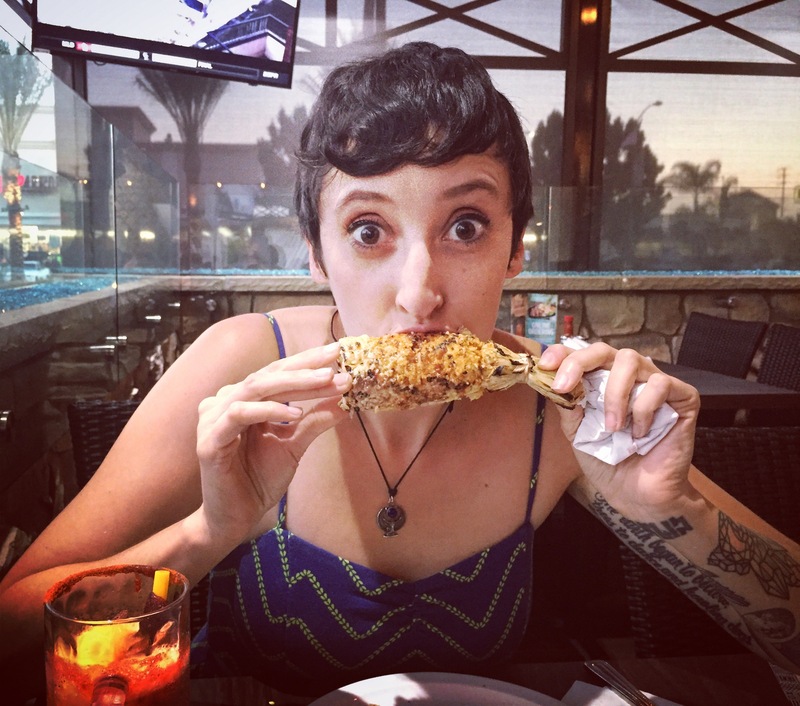 Be sure to follow us on IG & Twitter @girlsonfoodblog! 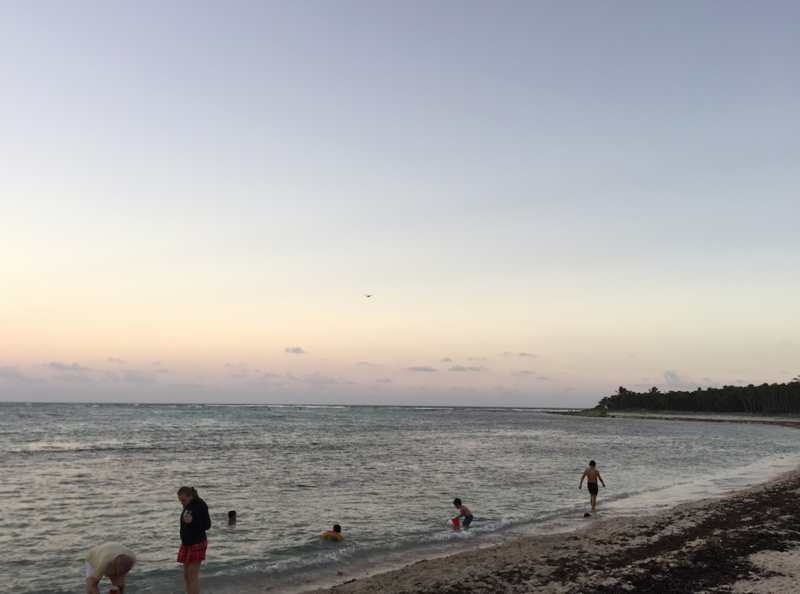 I recently took a vacation to Akumal, Quintana, Mexico with my boyfriend and his family. This was hands down one of the best trips I’ve ever taken. 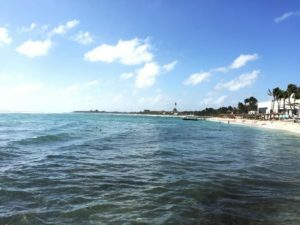 Akumal is located south of Cancun but north of Tulum, which put us beautifully in between the tourist attractions, without being right in them. 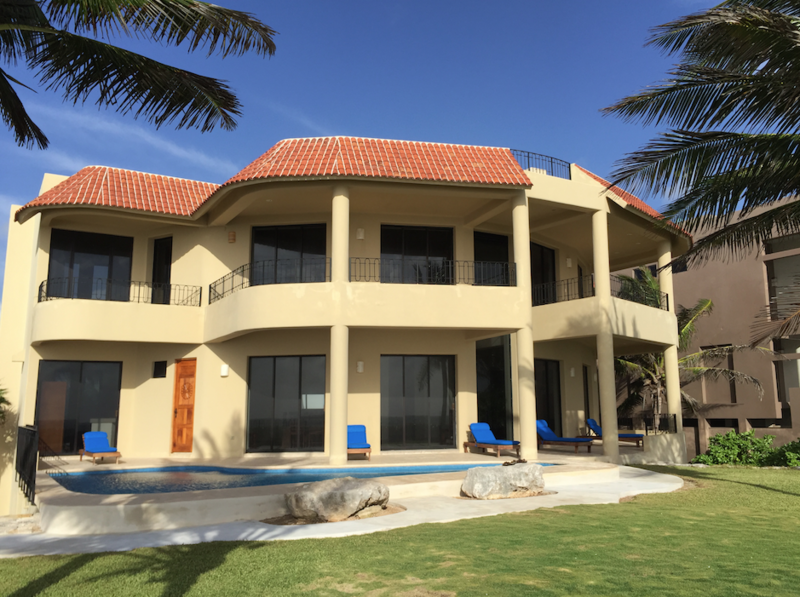 We had the pleasure of staying at Casa Amistad, a spacious house with an ocean side front. 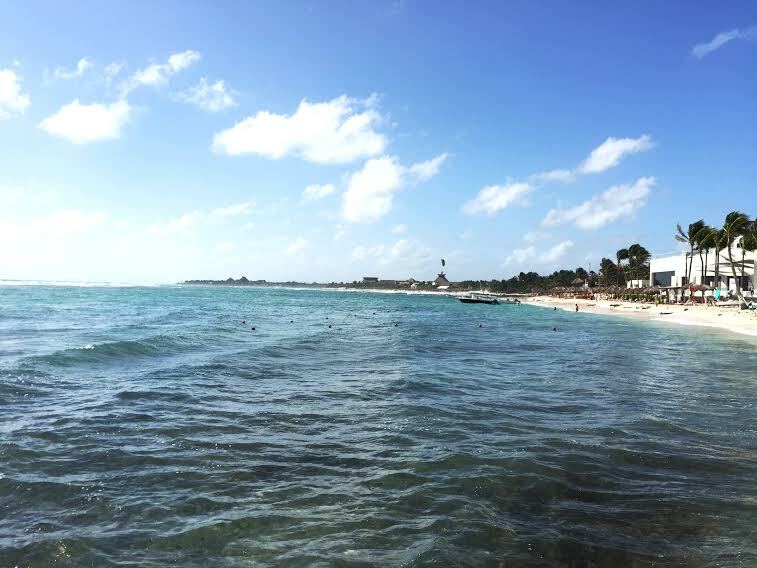 The ocean was a little further away from us, due to the Winter season, but if you stayed in the Summer, the ocean would land right at your feet. If you ever have the opportunity to stay there, I highly recommend it. 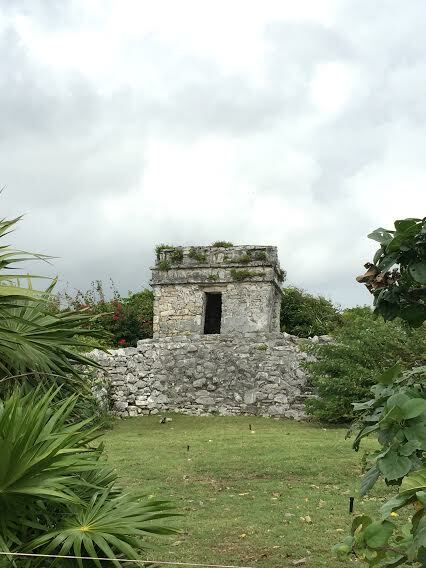 This vacation included experiences like zip lining, checking out Mayan temples, a rain forest tour and even getting a pedicure from fish but the best experience I had on this trip was dining at a Chamico’s. Chamico’s was recommended by a local who said we’d love it cause this is where the locals actually eat. A lot of the food we on this trip was good but many restaurants were also crowded, had slower service and filled with smoking Euros. Not my bag. My boyfriend told me not to write Chamico’s up. 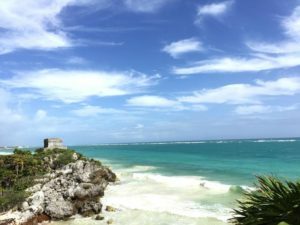 Not because he didn’t love it – but because he loved it so much he’d hate to see it become a “tourist trap.” While I understand where he’s coming from, I just can’t resist sharing this hidden gem with our readers. 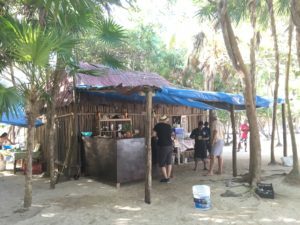 Chamco’s can be a little confusing to find, the best way to get there is to take Soliman Bay Road, go past all the hotels on this street and look for the beachside fish shack. I hope that helps! 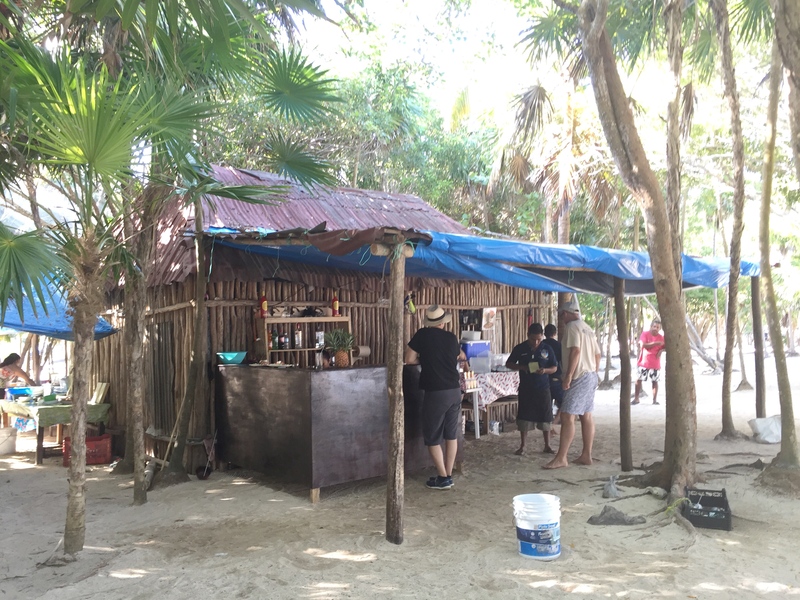 This little hut is on the beach and is surrounded by their casual fold-up seating on the beach and plenty of hammocks if you’d like to nibble in one. Be sure to get there earlier in the day, I recommend between 11 AM – 1 PM, so you don’t struggle to get seating. The view of a secluded beach is breathtaking and so different than the other more populated spots in Tulum. 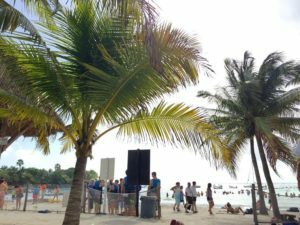 The combination of the sun, sand and breeze with your meal adds an extra element of relaxation that is hard to recreate anywhere else. We started with an order of cheese quesadillas. 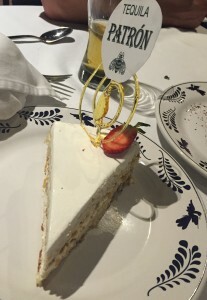 It may have seemed like a little silly to order since it was so simple, since we were at a place known for its seafood, which is in fact fished out of the bay daily by the owner, Chamico, But we were just craving some cheese on this day. Am I really defending why I ordered a quesadilla? Is that what the foodie scene has brought me to? WHATEVER. Ceviche. 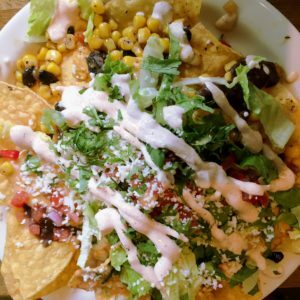 This is the reason you come to Chamico’s! 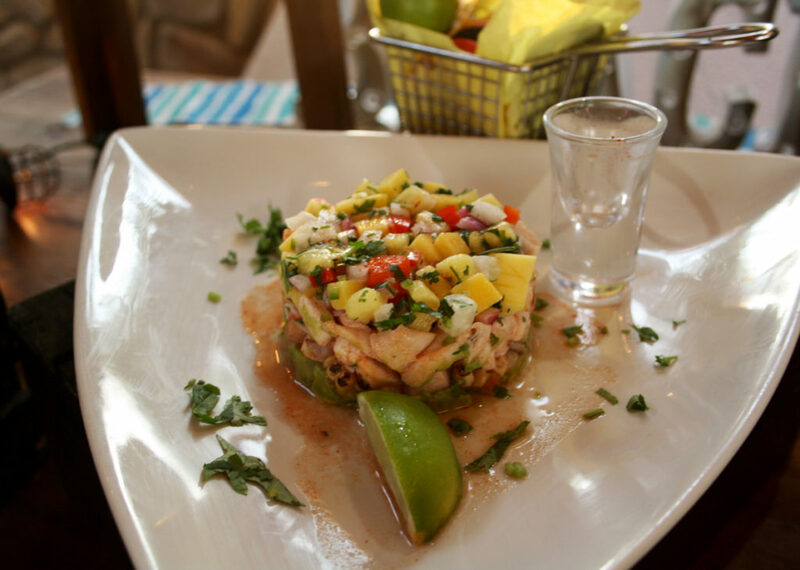 It was the best ceviche I’ve ever eaten and to have a little lobster added to it made it heavenly. The fish was so fresh; I assume Chamico reeled it in right before we arrived. Combined with lots of lime, Pico de gallo and buttery avocado, it makes for the most mouthwatering dishes I’ve eaten in a very long time. 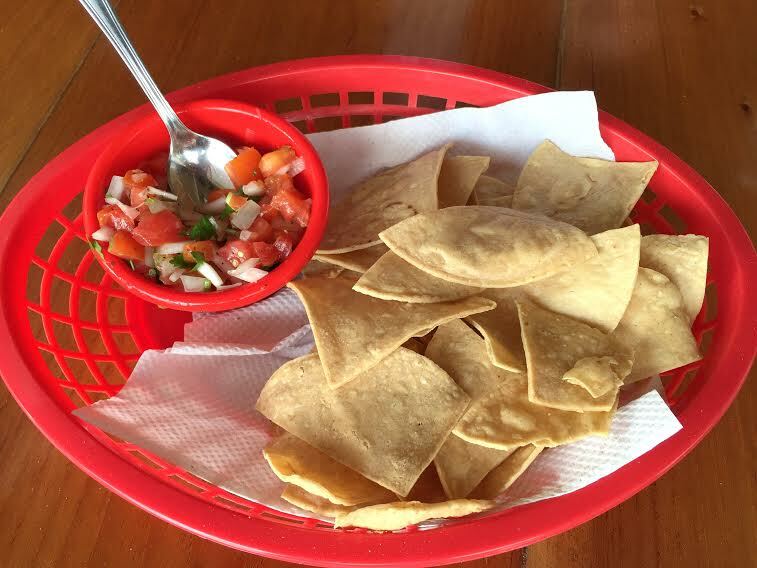 I also devoured those crispy corn tortilla chips; the ceviche juices made them extra special. 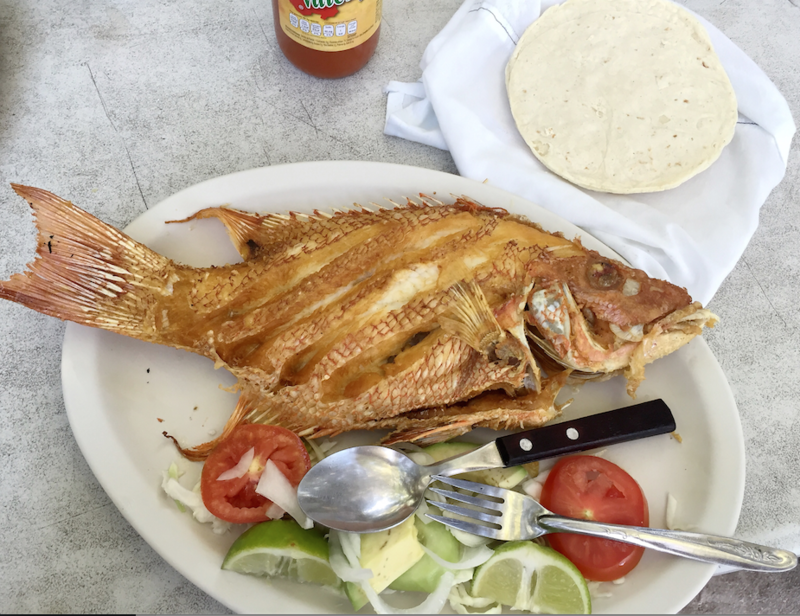 This fish was fried to a crisp, golden perfection. 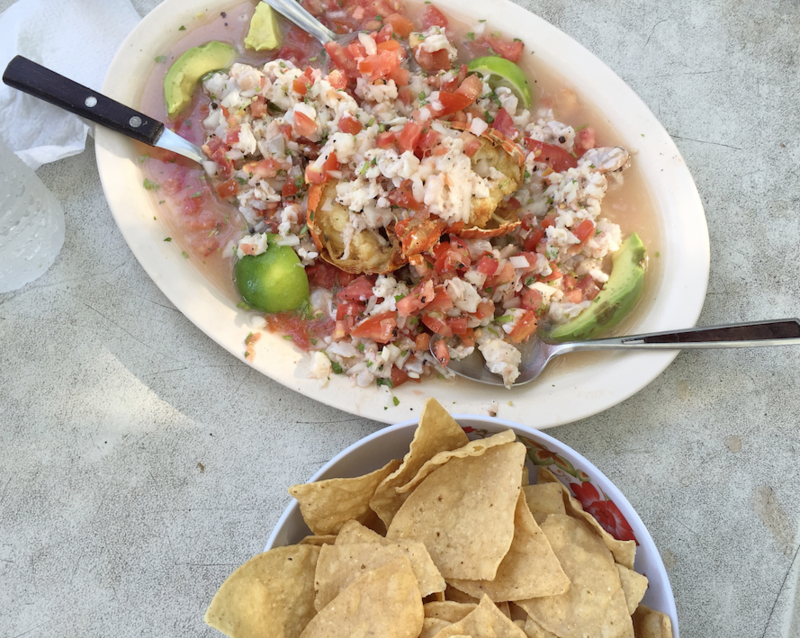 Like the ceviche, the fish was right-out-the-bay fresh and served piping hot off the frying pan. I have never experienced this level of tenderness with fish before, especially after it’s been fried. The flavor was so delicate, not fishy, and the skin was crispy but perfectly salted. 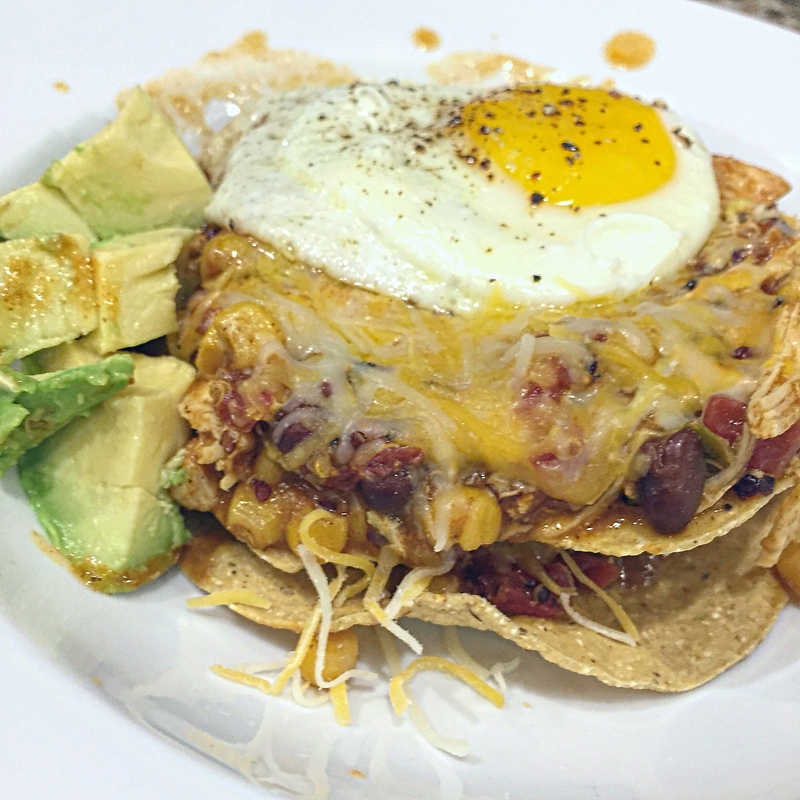 This is just one of those rare, amazing eats; you just have to experience it for yourself. 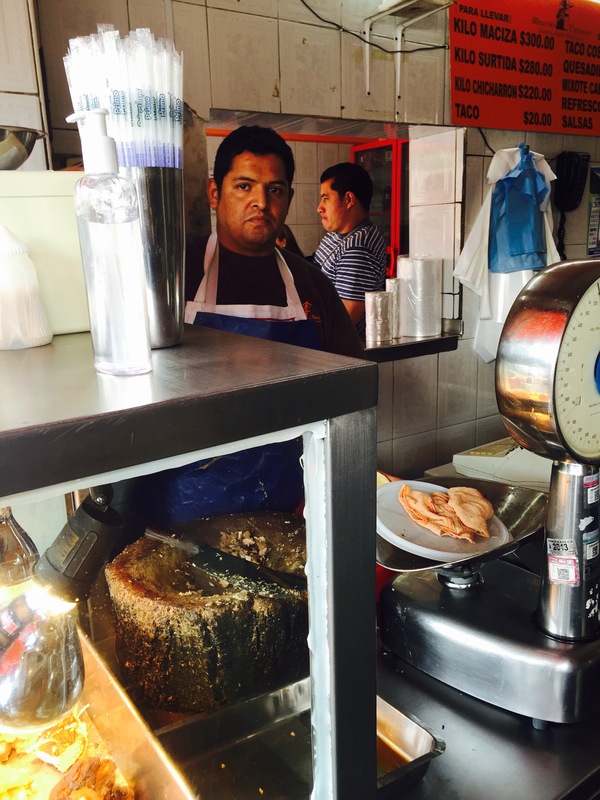 Growing up in Mexico City I was always surrounded by amazing food and even more amazing tacos. 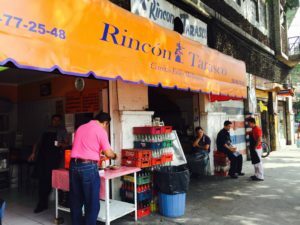 But when it comes to tacos there were always some legends: who was the best? Who did this or that style better? I always heard about this joint that made the best carnitas in town: El Rincón Tarasco. The first time I visited the place I was a teenager and I fell in love with it. So for good all times I decided to go back and treat myself to some tacos. The place is exactly the same as I remembered it. It hasn’t changed one bit. Somehow El Rincón Tarasco has found the way to stay old school in the most extraordinary way. The food is precious and it’s one of those places that closes when the food is gone. The restaurant itself looks a little bit sketchy but don’t be discouraged you are in for a treat at this little hole-in-the wall with a huge reputation. 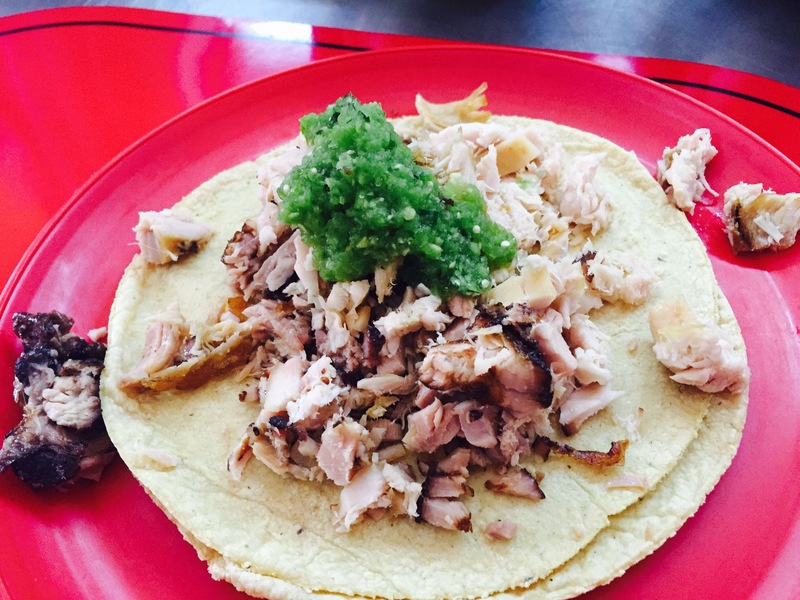 To begin my meal I had the taco dorado de sesos, that is the pork brain taco. I know some people may feel intimidated by the word brain but there is nothing to fear. 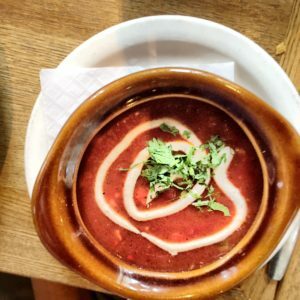 The brains are perfectly cocked with epazote, tomatoes and onions and it tastes smokey, creamy and flavorful. This taco is deep fried at el Ricón Tarasco and I particularly love this because it adds that extra layer of crunchiness to the taco. For my main meal I had the carnitas tacos. 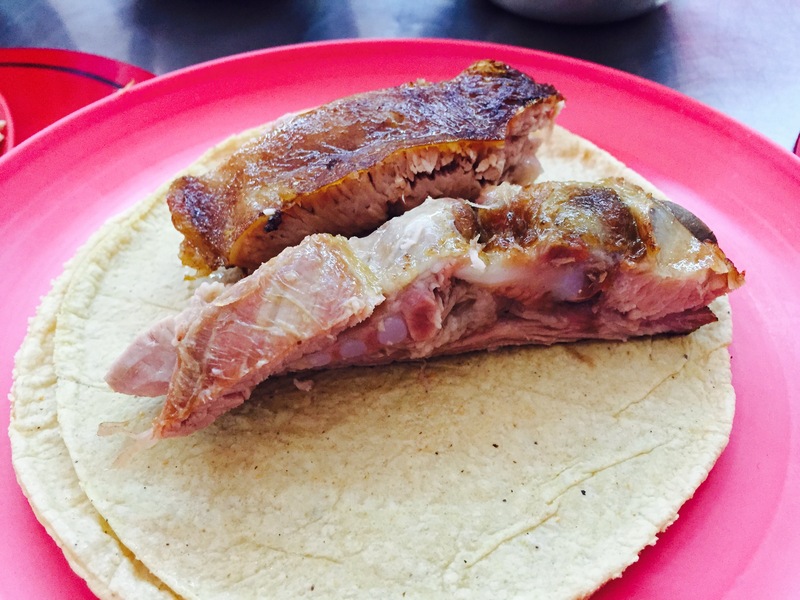 The carnitas at el Rincón are made Michoacán Style and they are its signature dish. 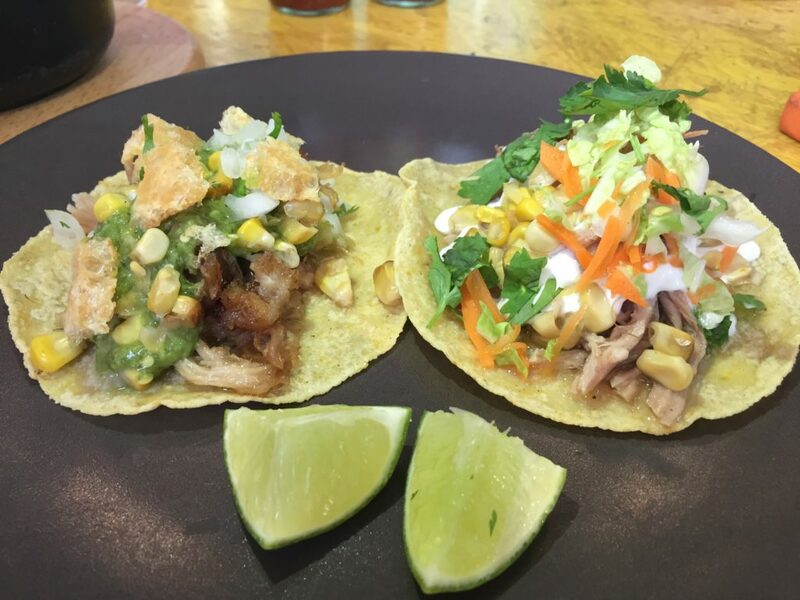 The carnitas are pork that has been braised and slow cooked for hours. When it is ready the meat is so soft that it melts like butter in your mouth. The carnitas taco is a big hardy taco , you can easily make two tacos out of it and the carnitas portion is very generous. It is soft, salty, piggy and so tasty. For my dessert I had the taco de Costilla (the rib taco). Yes, that was my dessert because the rib tacos are super special. This is an item that you can only get if you show up early enough since it’s one of the first items to ran out. The ribs are perfectly braised. You know crunchy on the outside but perfectly soft and juicy in the inside. They have a smokey flavor and the meat is so soft that it falls of the bone. It is absolutely delicious and a most try if they have it available. I was so happy to see that this place continues to be legendary. The staff was so friendly and accommodating and the food was exactly as I remembered it: humble and just plain good, without a doubt it still has the best carnitas in town…. 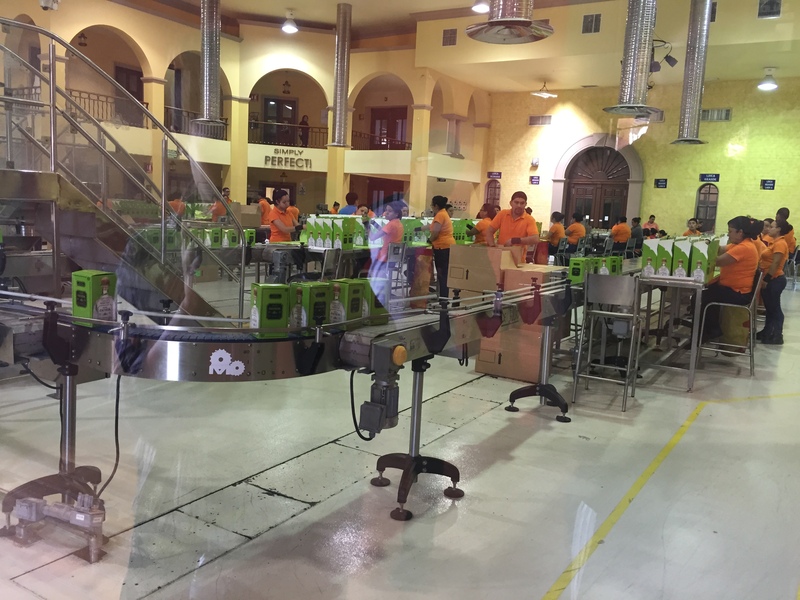 In the small town of Atotonilco outside of Guadalajara, Mexico sits the Patron distillery. 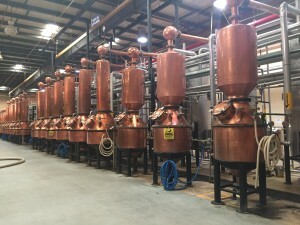 The distillery is where they make all of their product and bottle it by hand. 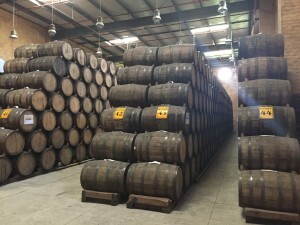 I was lucky enough to visit and bring back photos of the tequila making process. 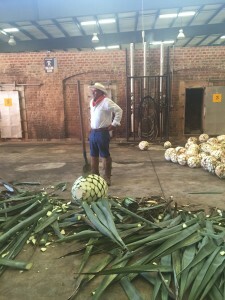 Patron uses two different methods to make their final product, one characterized by the traditional tahona; a volcanic stone used to crush the agave. The other process is a more modern roller mill that seperates the agave juice and fibers. 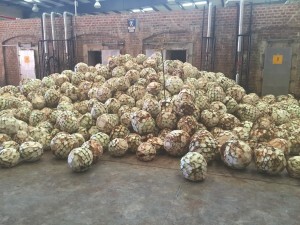 No matter which style the agave are destined for they start the same way. All the agave have their leaves removed by hand and are baked for 72 hours in large brick ovens. 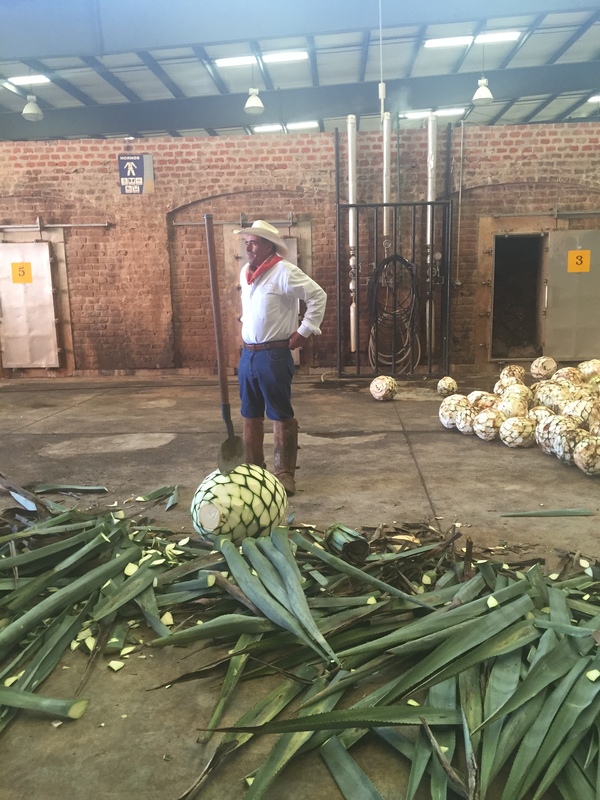 All the agave have their leaves removed by hand and are baked for 72 hours in large brick ovens. 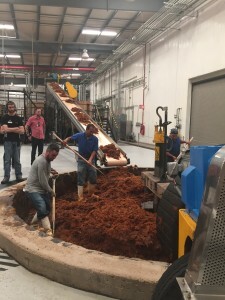 After the baking they are either crushed slowly with the tahona or they go to the roller mill process. 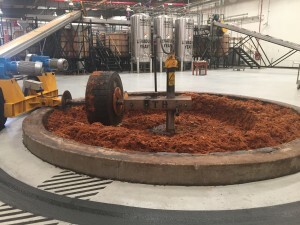 The tahona crushed tequila is transferred to the fermentors with both the agave fibers and agave juice while the roller mill only captures and ferments the juice. 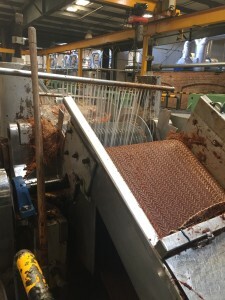 Here in the roller mill process only the juice is fermented. Above both the fibers and juice ferment together. 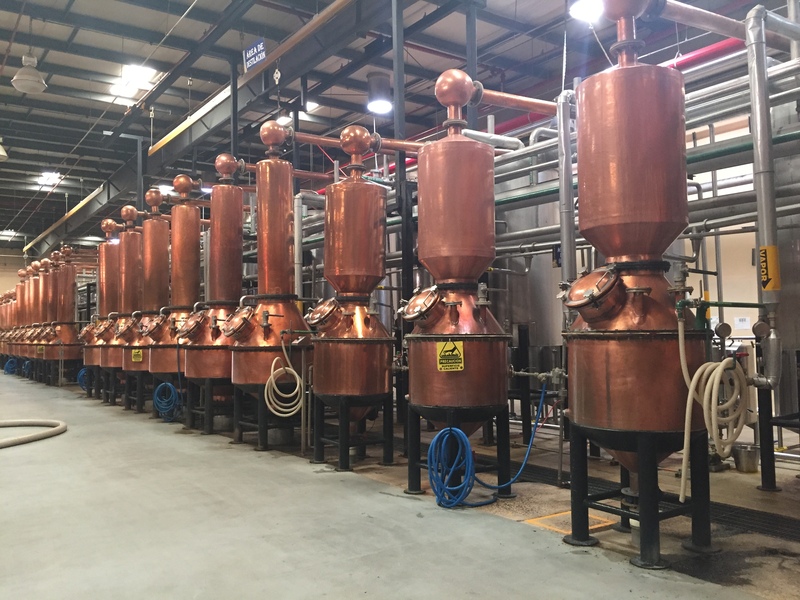 Both are distilled twice in copper stills and then they are ready to be diluted to 80 proof and aged, blended, or bottled. The flavor difference between the two methods is noticeable. 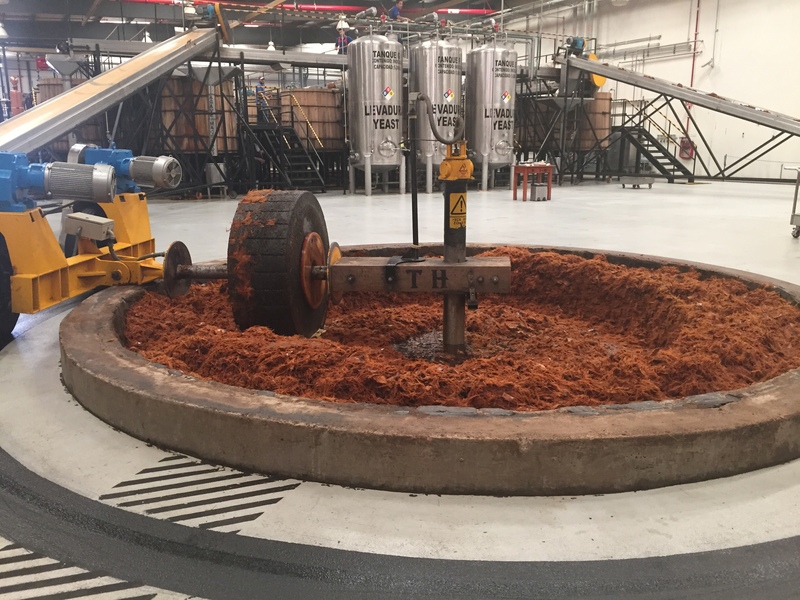 The tahona tequila yields a fruitier tequila with a less noticeable taste of alcohol while the roller mill is bright, citrusy, and burns a bit more on the way down. The regular Patron is a blend of both but I recommend giving Roca Patron a try as it is made from only the tahona tequila and is perfect to sip on. 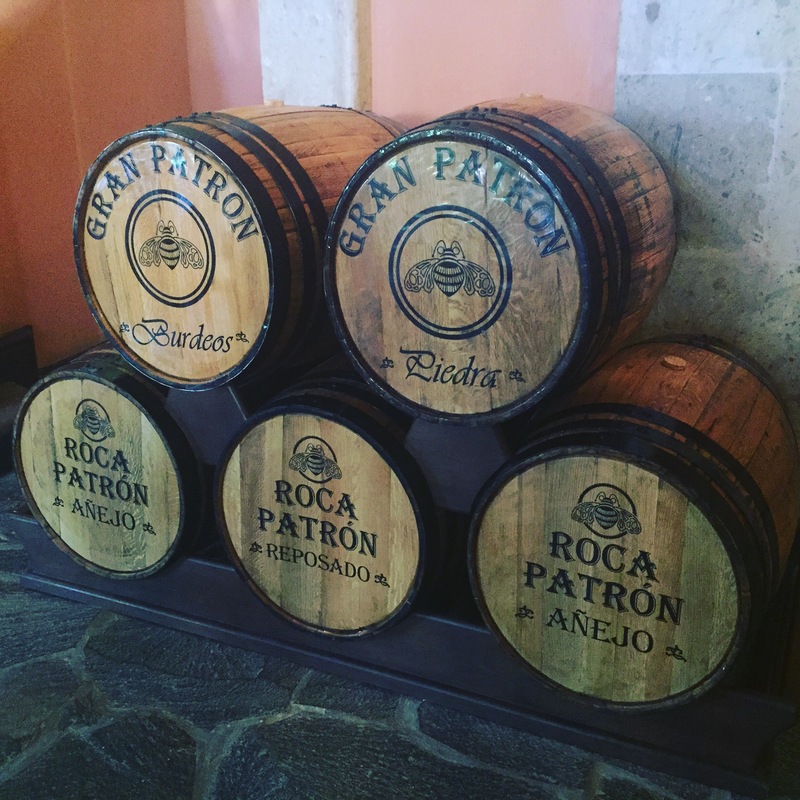 Patron has a variety of aged products from the Reposados and Anejos to the more exclusive extra anejos. They use different barrels to age them including French oak and American Bourbon barrels. 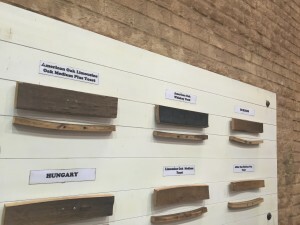 Some of the wood used for the aging process. Trying different combinations of age and wood. One thing I always admire is a large company doing their best to be responsible. 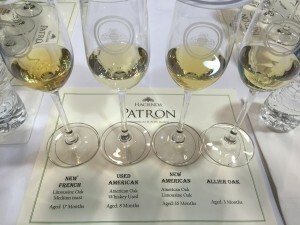 Patron can’t help being a large company but they do their best to be a great part of the community. The bottling process is still done by hand. They have not automated any of the processes but keep everything done by hand thus providing many jobs to the community. 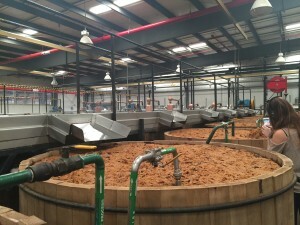 They also have their own reverse osmosis plant to reclaim the water used in the tequila process. Solid wastes are turned into compost which prevents yeast from getting into other water sources and killing other ecosystems. 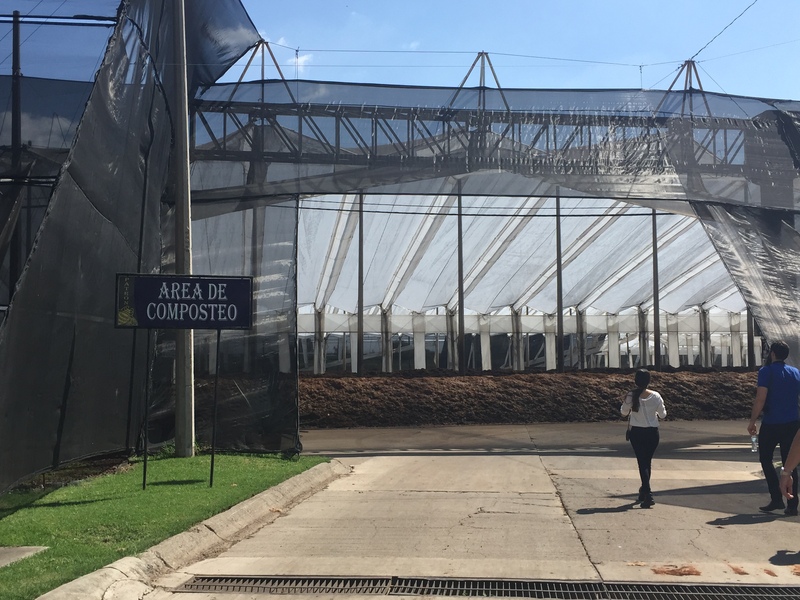 They use the compost in their own gardens and donate it to the agave farmers they source from. The huge (and smelly) compost area. 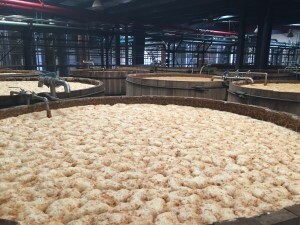 I really enjoyed seeing how tequila was made, admittedly even though it’s one of my favorites to drink I didn’t know much about it before. 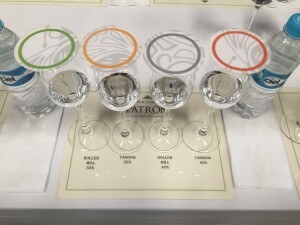 If you like tequila I recommend trying out a tahona processed tequila if you can, maybe start with some Roca Patron? Patron’s own vegetable gardens grown with their fertilizer and reclaimed water. 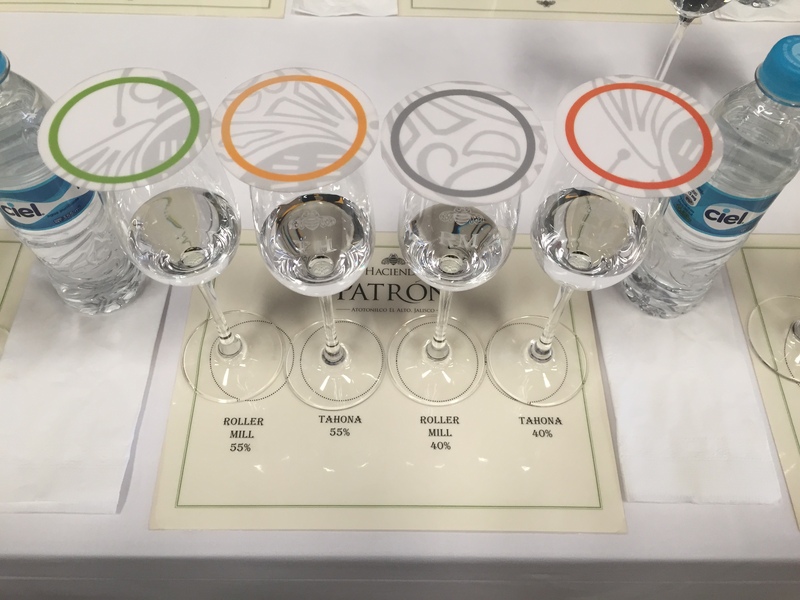 Last week I was lucky to attend a whirlwind trip to Guadalajara, Mexico to visit the Patron distillery (more on that in a future post). While there I got to enjoy some great food and cocktails. I wanted to share some of it with you here! The tequilas on display at La Tequila in Guadalajara. On the opposite side are more completely different bottles. This restaurant is aptly named, just look at that panorama of tequilas! 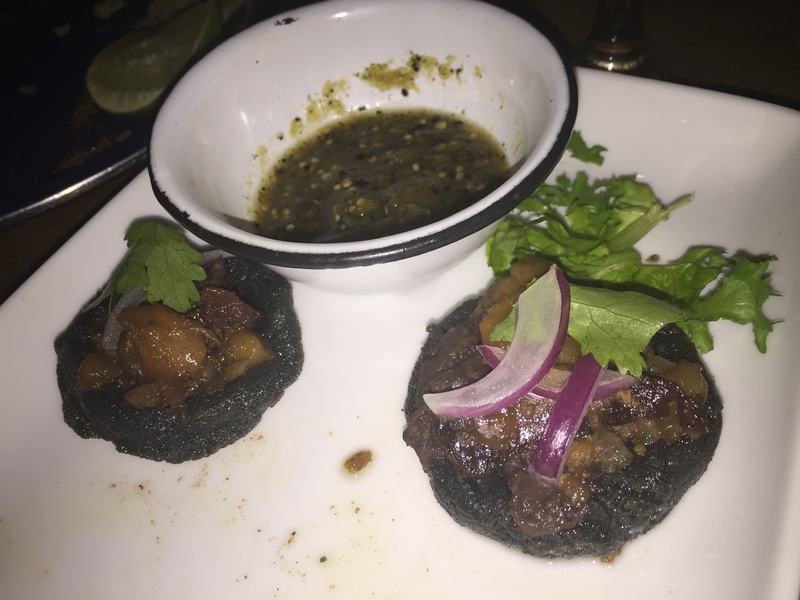 Blue corn sopes were one of my favorites! 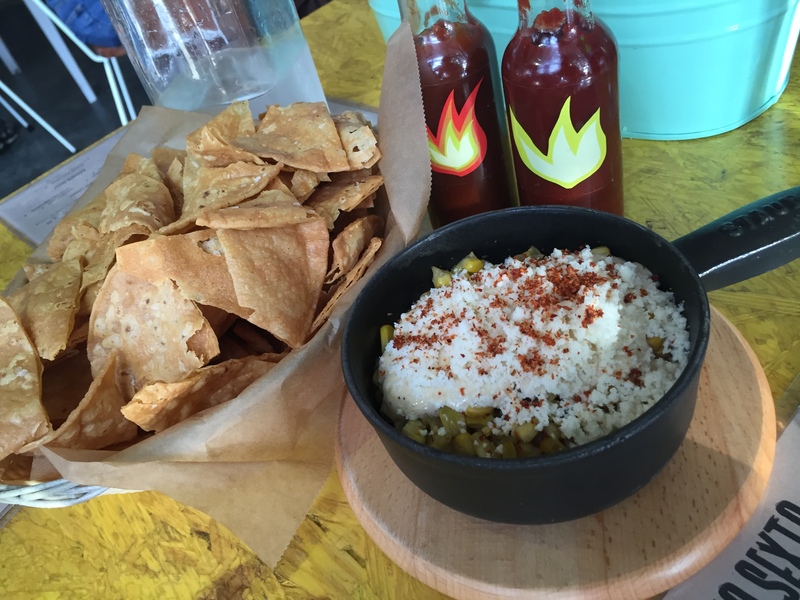 We started off with some melted cheeses and molcajetes. 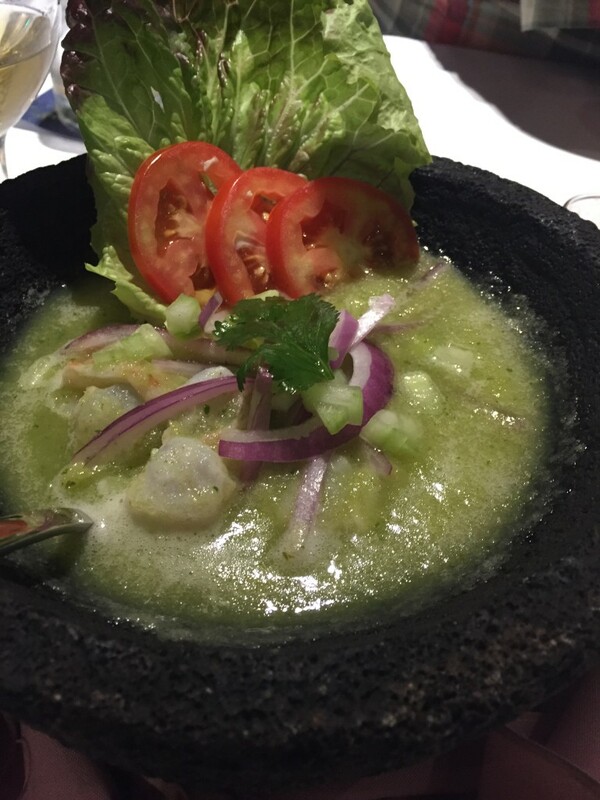 The molcajete is the stone bowl resembling a mortar and pestle. These ones came laden with grilled cheese, meat, avocado, and salsa with tortillas on the side of course. 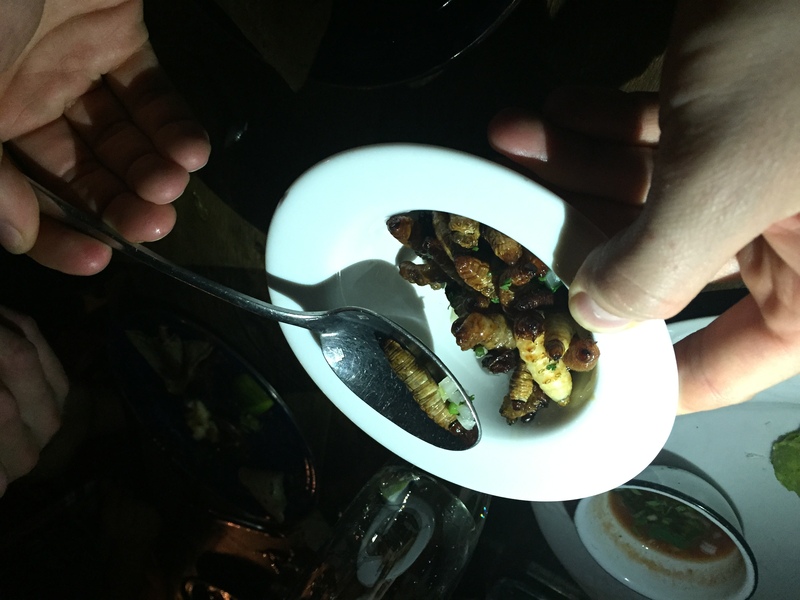 There were also ant larvae, worms, and quesadillas with crickets from Oaxaca if you are feeling adventurous! I passed on the creepy-crawlies, though I was feeling optimistic until I actually saw them. 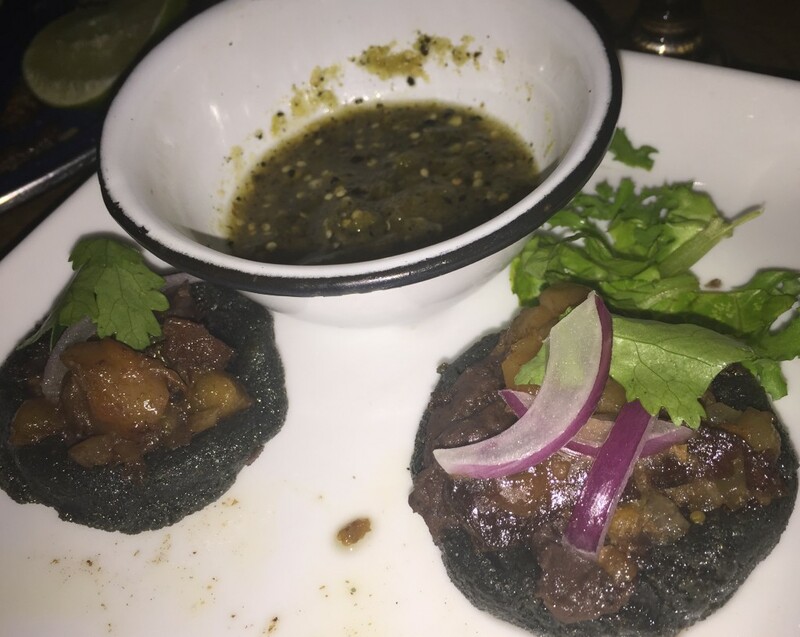 My favorite appetizer (other than the cheese) were the blue corn sopes, perfectly crispy on the outside and wonderful flavor. 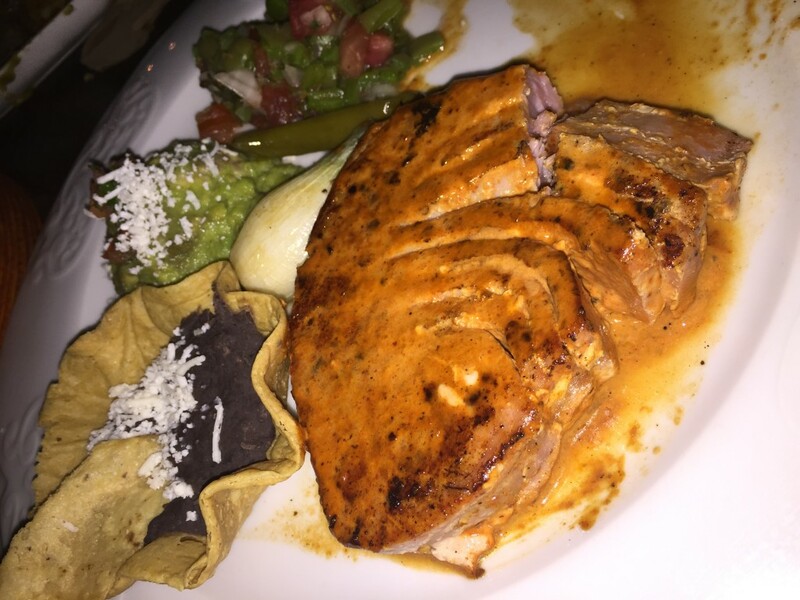 Tuna a la Talla, marinated in talla sauce of guajillo, pasilla, and ancho chiles and spices. My table decided to get a bunch of entrees to share so we got to try a lot of different flavors. 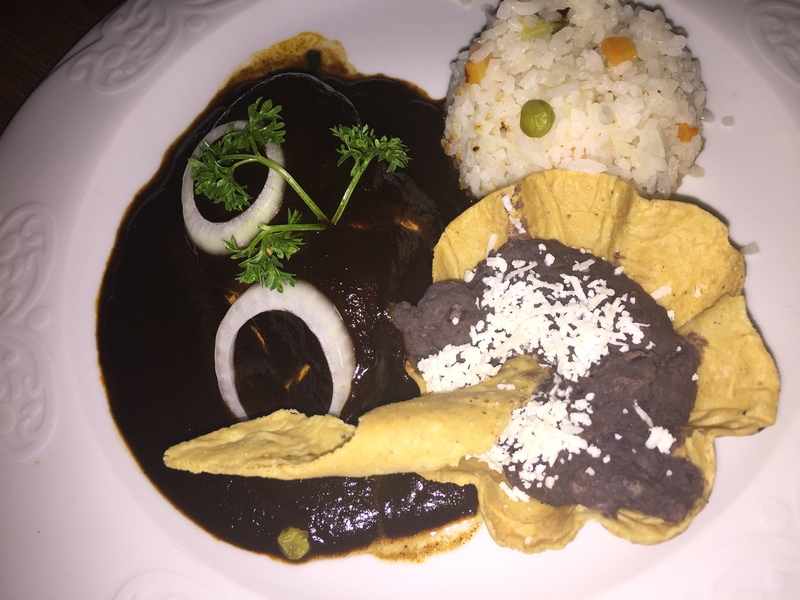 My personal favorite was the (huge) pork shank marinated in guajillo and ancho chili sauce. 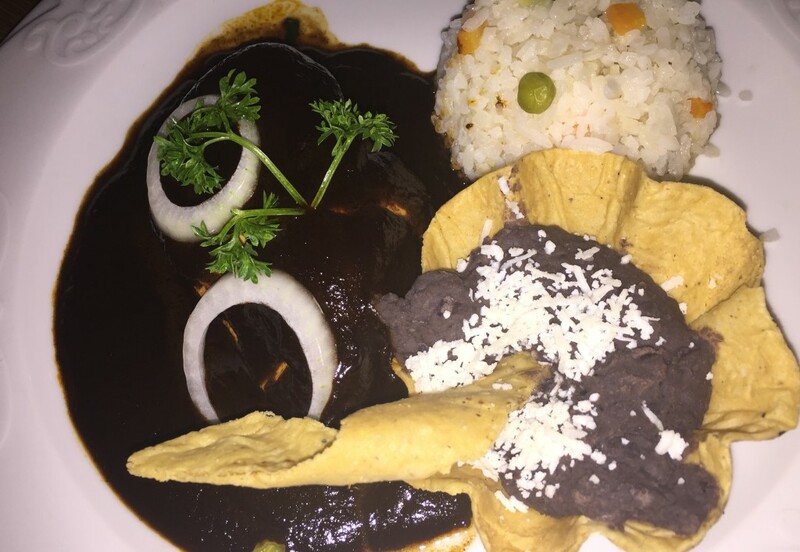 I also enjoyed the slow baked suckling pig in a dried chili and pulque sauce, it was so tender! 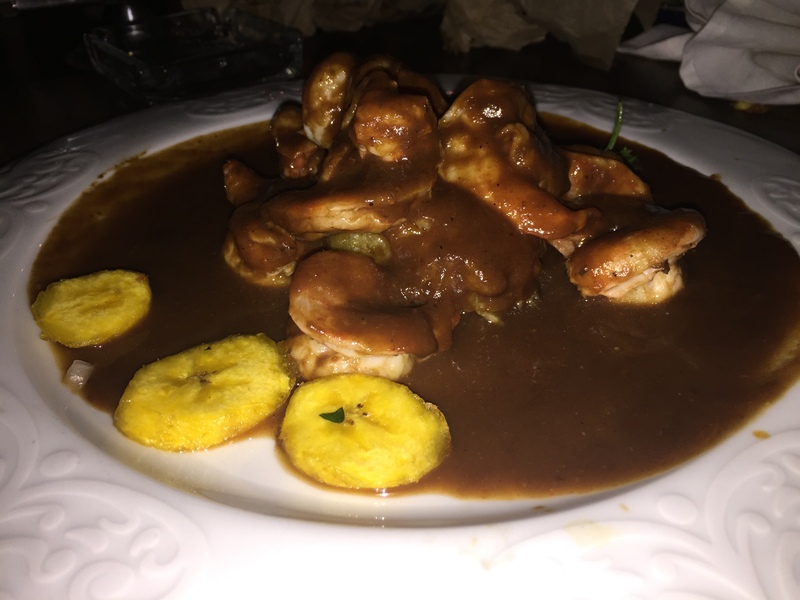 I enjoyed the Tuna a la Talla and the chicken breast with black mole, but found the Ram Mixote a little greasy and gamey and the Spicy Shrimp in Tamarind Sauce were a bit too sweet for my tastes. Spicy Shrimp in Tamarind Sauce. The next day we enjoyed a special lunch menu at the Patron distillery. Obviously each course was paired with a Patron cocktail. Unfortunately you will not be able to dine here unless by special invite but maybe my meal will provide some inspiration for your kitchen. We started off with a panela cheese “salad” and tomato basil soup accompanied by a classic margarita. 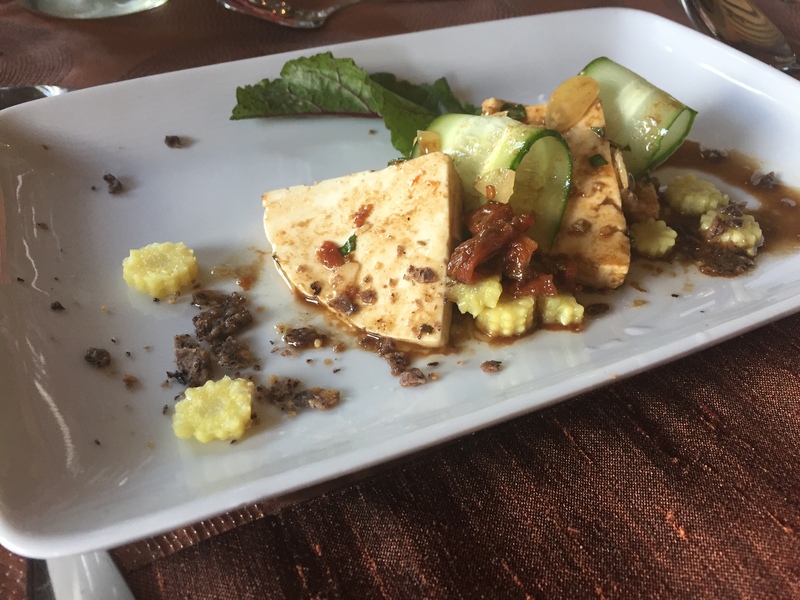 Panela cheese with cucumber, baby corn, and a dried tomato vinaigrette. 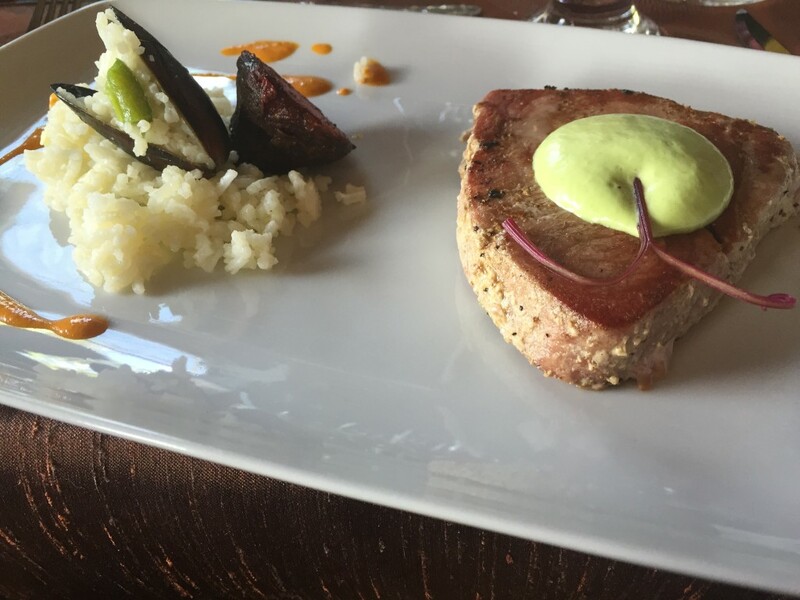 Our main course was a fantastic smoked tuna topped with a foam made from avocado and Gran Patron Platinum. 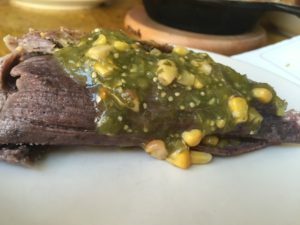 I’d like to try making a tequila and avocado sauce at home, I’d probably add a little kick by way of Jalapeno though! 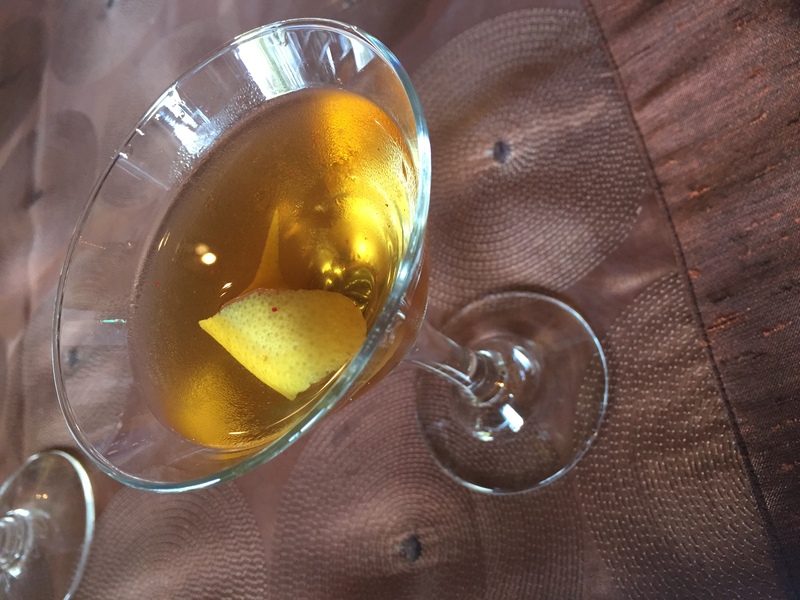 This came with my favorite of the cocktails, the Abejorro, a refreshing tequila cocktail with watermelon, honey, and ginger. Smoked tuna with avocado and tequila foam. Served with a side of rice and a little bit of beet. 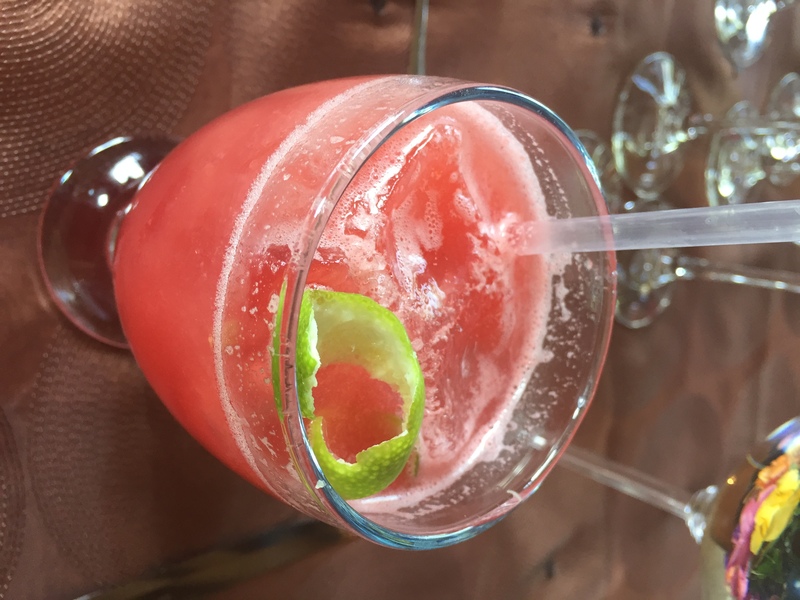 Abefjorro cocktail; watermelon, ginger, honey with Patron tequila. For dessert we tried an apple crisp with homemade agave ice cream. The ice cream took me by surprise, the agave has a flavor close to honey yet very distinct. It actually took me a few bites to adjust to the agave flavor but once I did I loved it! I would love to see agave ice cream at my local ice cream shop. This came with Guadalajara cocktail which sounded intriguing with Patron Pietra, grapefruit bitters, pink pepper, and agave nectar but was just too sweet for me. 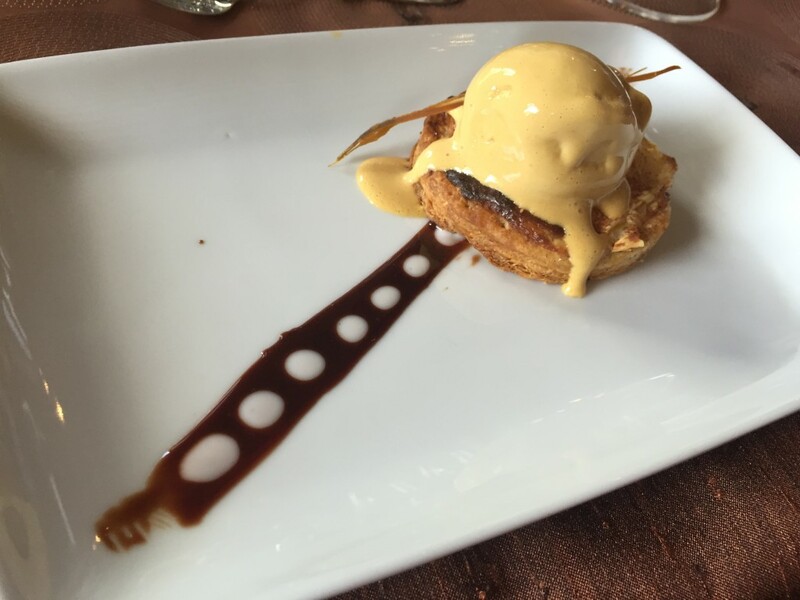 Apple crisp with agave ice cream. 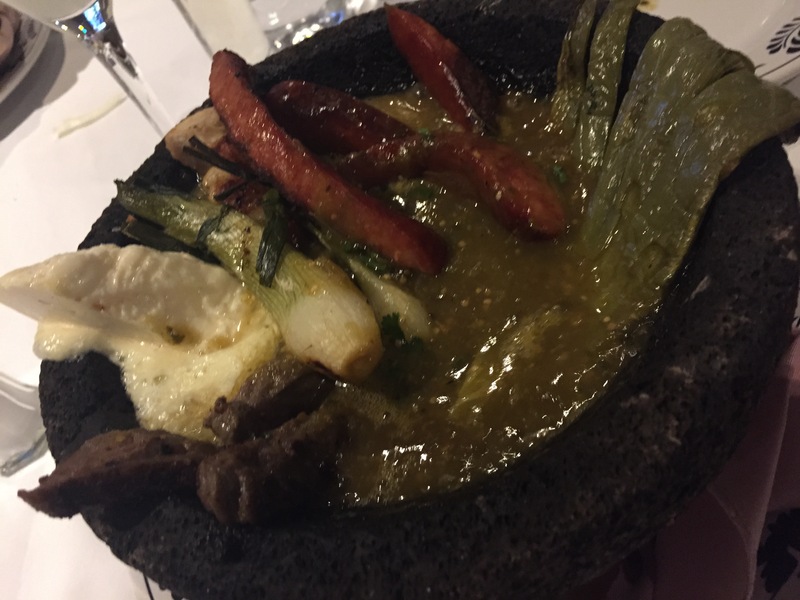 The molcajete we started with. This one has meat, chorizo sausage, cheese, onion, and salsa. 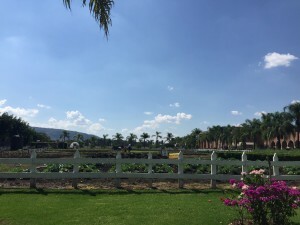 This restaurant is found on the beaten path at the Hilton Guadalajara. We started off with molcajetes again as well as a variety of sopes, quesadillas, and salsas. 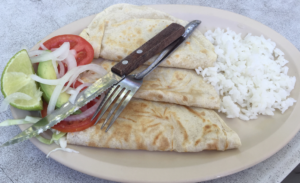 This time I was brave enough to try the dried cricket quesadilla. The flavor wasn’t an issue but I did find it to be dry and dusty feeling in my mouth. 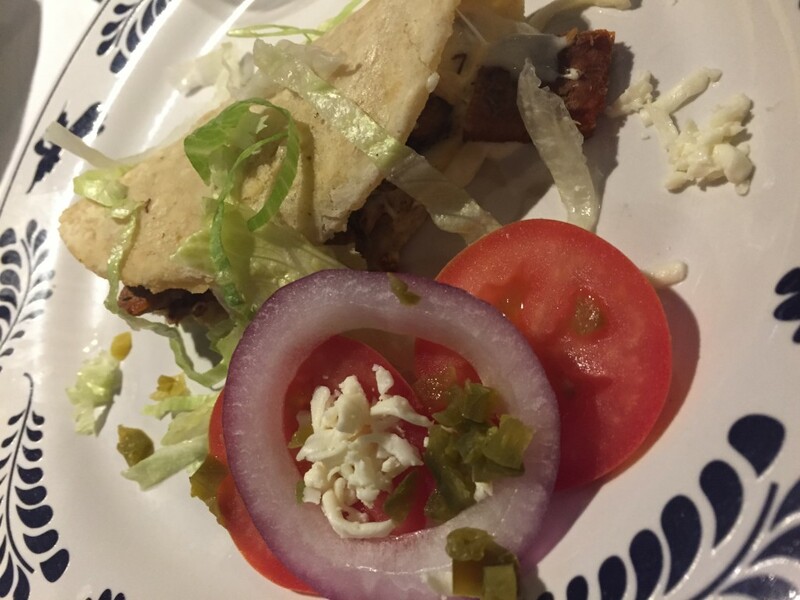 For dinner I ordered a fried quesadilla al pastor, I loved the homemade tortilla but the cheese seemed a little dry. 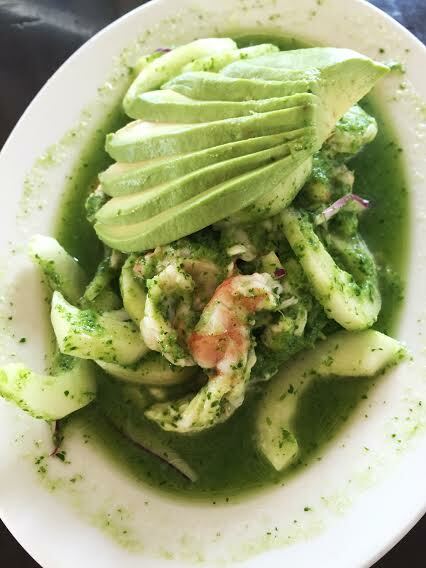 I also ordered the shrimp aguachile, very similar to ceviche this is one of my favorites and you don’t see it at too many places. Theirs was good and spicy, excatly what I wanted! 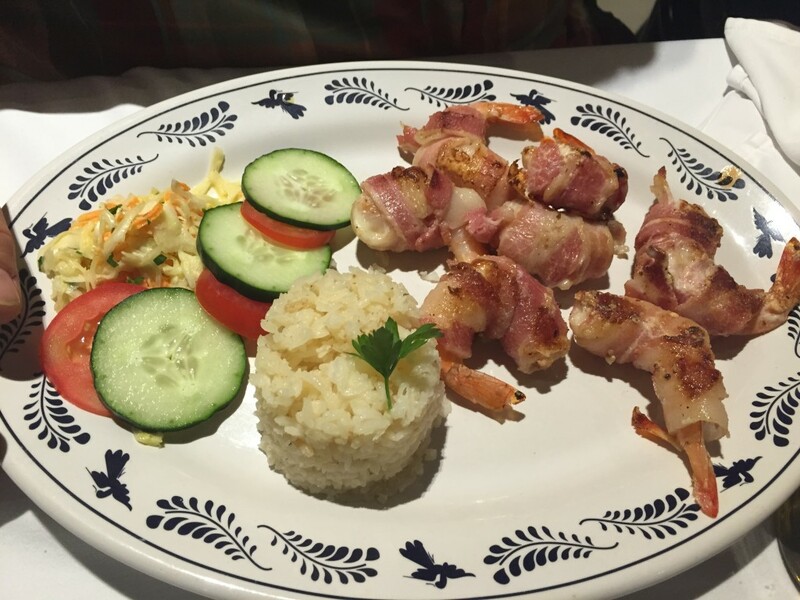 The winner though was the mummy shrimp, shrimp stuffed with cheese and wrapped in bacon! Need I say more? For dessert we had a trio of cakes; rich chocolate, tres leches, and cheese tart with figs. 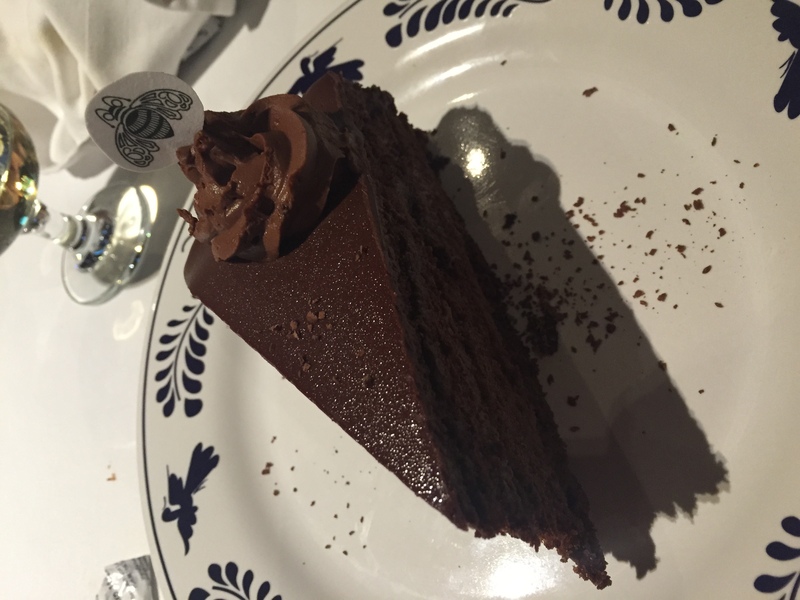 The chocolate was fantastic but the tres leches was probably my favorite of the three. Overall, I really enjoyed the food on the trip. 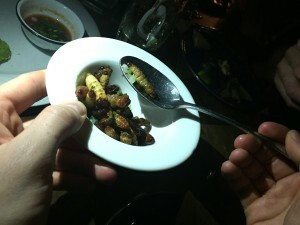 I even got outside of my comfort zone by trying the crickets! It was a very quick trip so next time I hope to get out any try some local street food.